As I finish my internship, I believe I have largely met my defined academic, career and personal goals I established before beginning my internship. My academic goal was to build upon the knowledge from the biology classes I have taken, as well as to expand that knowledge to better assist me in future classes. These goals were met as all my research either built on my basic biology knowledge, such as understanding how cellular respiration works and how DNA is replicated, or new lab techniques and concepts. These new techniques include ELISA and cell culture preparation, which will be useful when I take biology lab in the fall. More so, I was introduced to many neuroscience concepts, such as the role of PPAR agonist receptors and the importance of insulin in the brain, which I will be able to apply to my neuroscience courses. Here is a link to an interesting article about the correlation between insulin resistance and AD, concepts on which my project focused, written by my PI. My career goal was to gain research experience and decide whether research and neuroscience are areas I am interested in pursuing. This internship provided me with valuable research experience that will make me a far more competitive candidate when applying to future research labs. Additionally, the experience of working in in a lab made me realize that while I find research interesting and would like to continue it throughout my undergraduate education, I don’t think I would like to pursue a career solely involving wet lab research. However, this experience has also helped solidify my choice in majoring in neuroscience, as it has given me further understanding of how uncharted the brain remains and how vital an understanding of this organ is to the future of society and medicine. My personal goal at the start of my internship was to challenge myself to fully understand all concepts of my research. I feel as though I have met this goal through asking questions and feeling comfortable in being wrong in my understanding, giving me a better grasp of my research through my mistakes. Overall, as a result of this internship I feel capable of taking on and successfully completing challenging projects. Although my research project appeared daunting and confusing at the beginning of the summer, by working through the project slowly and asking questions when confused, I ended my project with a newfound confidence in my abilities and understanding. I would advise a student interested in this internship to come with an open mind and be prepared to give his or her full efforts. 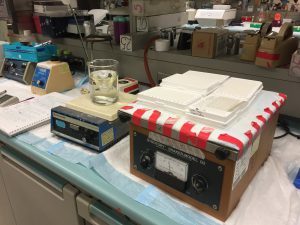 Additionally, this lab prefers to reteach techniques regardless of a student’s previous knowledge, so it is important not to become frustrated or discouraged by this. It is also essential to stay very organized and have full command over your topic, and quality over quantity is key. I would advise a student interested in this field to definitely try a hands-on experience, such as working in a lab, in order to interact with the field of study in a new light that differs from the textbook experience. This allows for a new perspective and better understanding of the topic, as well as more comprehensive look into whether you are truly interested in the field. Looking back at my internship, I am most proud of my presentation at the lab and the manuscript I wrote about my experiment. I often do not present, and when I do, the presentations are often much shorter than the fifteen-minutes I was allotted. Additionally, this presentation was on a challenging and complex topic that required me to gain a comprehensive understanding of in order to make it a successful talk. Fortunately, applying the necessary time and effort allowed my presentation to run very smoothly and I felt I was successful in conveying all aspects of the experiment to my audience. I am also very proud of the manuscript I wrote on the experiment. This required a very extensive understanding of the topic background, results, and experimental significant, and required a style of scientific writing that I had never attempted before. However, I produced an end product that was something I didn’t think achievable before coming into this experience. Midway Post Through and Still Learning More! One of my favorite things about interning in this lab at Brown Liver Research Center is having the opportunity to be mentored by my PI, someone who is very qualified and accomplished in her field of research. This is exemplified well through her multitude of publications on nitrosamines and their detrimental effects on the brain. On several occasions of researching background information for different projects, I have come across articles written by her and the other main lab technician. Here is a link to an article by my PI that I happened across earlier this week: https://www.ncbi.nlm.nih.gov/pubmed/19542621. It is very impressive and inspiring to work under someone who is so prominent in this niche of research. Another fun aspect of working in this lab is the daily afternoon tradition called Cake Hour, when different people volunteer to bring a dessert and everyone comes together to enjoy it at the end of the day. There is even a blog dedicated to this tradition, here is the link: www.cakehour.com. Cake Hour is a really nice way of bringing the lab together when throughout the day people often tend to be isolated within their own research projects. The people in the lab are overall very friendly and helpful, often willing to go out of their way to help others and answer questions. I find this aspect especially important, as most of what I am doing was completely new to me at the start of the summer. My personal learning goal is to strive to understand everything I am doing in the lab, and feeling comfortable asking questions and seeking clarification has allowed me to stay on track with this goal. Interning in a research lab has differed from academic life in the way that everything I am learning is directly correlated to a hands-on experience. I really enjoy this approach to learning because it gives more direction and focus to my education and allows me to solidify and further understand the new knowledge by actually utilizing it in a project. I am learning more technical skills rather than the overarching and broad knowledge of many of my academic classes. Through the experience of interning in this lab I have further developed skills that I can transfer both to my academics and future career plans. I have learned various protocols including slice culture, gel electrophoresis, duplex ELISA, PCR, MALDI, BCA, microsectioning and H&E staining. Here is a picture of the white plates used in an ELISA experiment being incubated on a shaking device and the ELISA protocol I typed from my notes. I will apply many of these techniques next year in Biology Lab, allowing me to feel more comfortable and knowledgeable in the class. Additionally, having lab experience on my resume will allow me to be a more competitive candidate for future research labs, as I will already have a wide range of knowledge and applicable experience. In addition to improving my scientific skill set, I have also built on my interpersonal skills and workplace professionalism. By working with people who are older than I am, whether graduate students or adults, I have become better at connecting with people not my age. Furthermore, this internship has allowed me the experience of working in a professional setting and a better understanding of the associated decorum. Author dsreichPosted on July 25, 2017 July 25, 2017 Categories Recipient of Science WOWLeave a comment on Midway Post Through and Still Learning More! In my last post, I mentioned that I would be conducting a major experiment seeking to elucidate the effect of our experimental compound on the efficacy of the existing neuroblastoma immunotherapy. My entire summer built up to this experiment, and I am thrilled to report that the results were largely positive. We were concerned that our experimental compound might interfere with the effectiveness of the existing immunotherapy, an antibody that modulates antibody-dependent cell-mediated cytotoxicity (among other immune processes) against tumor cells. Therefore, we were ecstatic to discover that the experimental compound actually appears to increase the efficacy of this process – at least in our simplified, in vitro ADCC model. Of course, as I have mused, research is rarely a linear path. Although we repeated this experiment twice more with the same results, the findings provoked new questions about our assay that will require future experimentation to affirm the validity of our conclusion. And, most importantly, we still need to assess how our experimental compound works with the immunotherapy in vivo, as live animals are far more complex than any in vitro model. Still, I am quite satisfied with my work, our findings, and how the summer wrapped up. Tumor cells that I maintained this summer in the incubator. As I’ve learned, in vitro models greatly simplify in vivo processes, which is both good and bad. All in all, I do think I met my learning goals for the summer. I wanted to experience science in the “real world,” and this project, with its trials, challenges, and triumphs, definitely did just that. Participating in this project taught me how to transfer academic knowledge into a real-world context. I also wanted to learn more about biomedical research, as I am currently applying to veterinary school and am potentially interested in a career that combines clinical medicine and research. 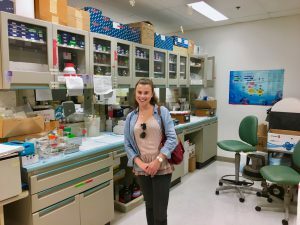 Participating in this internship opened my eyes to the world of research. I saw that even though research can be tedious and slow, it can also be incredibly exciting and fulfilling. This internship definitely piqued my interest in pursuing a career as a veterinary clinician-scientist. There is something thrilling about producing data that both answers questions and sparks new ones. To other students interested in pursuing a similar internship, I would stress the importance of patience. For most of the summer, the research seemed very slow-going. 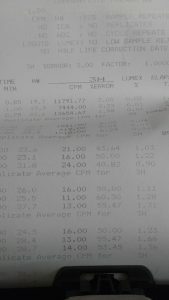 I took about six weeks to become comfortable with the techniques and protocols and feel competent in the lab. At the same time, for many weeks we were attempting to utilize an assay that was not sensitive enough for our purposes, and running failing experiments over and over again was disheartening. However, this is all part of research and the learning curve; perseverance is definitely a vital quality in any researcher, especially one who is new to the field. 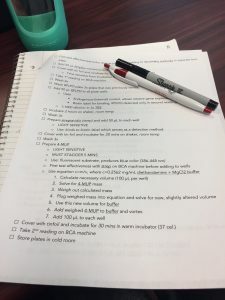 Additionally, I would stress the necessity of keeping an organized notebook, as carefully writing up all of my experiments definitely made it easier to keep details straight as we progressed throughout the summer. All in all, I am most proud of how much I was able to learn this summer: about neuroblastoma, immunotherapy, research, and my own ambitions. Since my first blog post, I’ve conducted twelve additional experiments, mainly working to optimize conditions for the big experiment that I will be conducting in about two weeks. I spent about six weeks attempting to optimize an LDH assay (which measures the amount of lactase dehydrogenase, a chemical produced in the endogenous metabolic pathways of all cells that is released when they lyse). My supervisor believed that this assay would be a good measure of immune system activity against tumor cells, as the immune cells would attack the tumor cells, causing the release of LDH. This assay also does not use any radioactive substances and so is safe and easy to handle. Unfortunately, we ultimately determined that the LDH assay was not sensitive enough for our purposes, and so we had to move back to the old, tried-and-true method that involves labeling cells with radioactive chromium. So far we’ve conducted a few different experiments using this method, and we were very happy to see that it has worked every time. As my supervisor remarked, sometimes the old way is the better way, even if it does mean working with radioactive isotopes. Now that we have a working assay, I will be conducting an experiment to see whether our experimental compound increases the immune cells’ ability to attack the neuroblastoma tumor cells. This experiment will be a big undertaking, involving about 15 hours of work, several different experimental groups, and numerous controls, so we are crossing our fingers that we will get the results we desire. I am gaining confidence in my technical abilities, which was a major goal of mine before the summer began. Despite the fact that many of the experiments we ran had systematic errors, I’ve been able to learn a variety of research techniques through running these different experiments. I’ve become quite competent at cell culture, which is a heavily-utilized technique across the biomedical sciences. I’ve learned how to isolate immune system cells from rat spleens and whole human blood, as well how to prepare blood serum for analysis. Overall I’ve become more independent in the lab, in terms of planning and running experiments and analyzing data. Additionally, I’ve gained a deeper understanding of the scientific research process, as I’ve now seen that despite extensive planning, research is rarely linear; the twists and turns can nonetheless be valuable learning experiences. Another benefit of this internship: I’ve gotten good at Excel! Since my internship is academic in nature, it has aligned nicely with my experiences at Brandeis. I’ve been able to apply some of the molecular biology and immunology knowledge that I’ve gained through my coursework at Brandeis. However, I’ve also seen that research, unlike school, is a collaborative effort so being able to work with a team is very important to the process. I’ve also seen that even when the theoretical concepts are clear, the logistics of planning and running experiments can be complex. This has shown me how the “real world” connects to the science that I learn in lecture; there is more to being a scientist than just having an academic understanding of science. In conclusion, while the research itself has definitely felt slow-going at times, I am excited to test our experimental compound in a couple of weeks and am hopeful that the weeks of optimizing will pay off. Nonetheless, I have grown through this experience and have gained a good understanding of the research process, which has been informative to my career exploration of fields related to veterinary medicine. It has been a great first week at the Harvard Lab for Youth Mental Health! 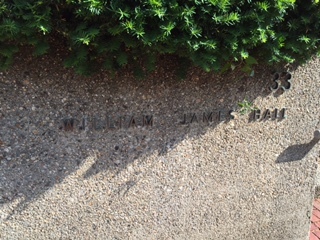 The lab is located at William James Hall, which is named after the famous psychologist. The lab’s main mission is to improve child and adolescent mental health through the dissemination of evidence-based mental health practices. The projects span across many clinics and schools to test the effectiveness of therapeutic interventions. The lab’s work is of further importance as many of the projects deal with providing quality mental health services to youth in lower income communities. One of the research projects I am helping out with tests the effectiveness of the “MATCH therapy”, which is an evidence-based treatment of childhood anxiety, depression, trauma, and conduct problems. Given that many of the studies are conducted over multiple years and have 100+ participants, maintaining the database is an integral part of the work being done in the lab. I help out with a lot of the “behind the scenes” work such as entering data from psychological measures in the database, verifying that information is correct, and updating participants’ files. For further information about the research projects you can follow this link. For me, it is really interesting to see what the actual assessments look like and how data is put together to examine the psychological needs of a child. The work I am doing in the lab will hopefully help me figure out what my specific interests are within the field of child clinical psychology. Another interesting aspect to my internship is getting the opportunity to sit in on lab meetings and presentations. I attended a presentation by one of the post-doctoral students regarding her work at Boston Children’s Hospital. The presentation topic was about the emerging field of pediatric psychology and how psychologists can positively impact a patient’s hospital stay and overall outcome. Several case studies were presented in which children who had traumatic injuries and severe illnesses had their psychological needs met in addition to their medical ones. The hospital can be a scary place for a child and having adequate psychological services can help kids cope with their illnesses. Pediatric psychologists can help with explaining the illness/injury in a developmentally appropriate way, addressing emotional concerns, and working through issues regarding self-identity. We also learned that it is also important to conduct a comprehensive screening as some children with chronic medical conditions have had their psychological needs previously overlooked as a result of their serious illness. The importance of early intervention and streamlining psychological screening was also discussed. I also attended an MRI safety session at the Harvard Center for Brain Science. I went for training to obtain a “yellow badge” so that I can observe MRI scans and be a “scan buddy” for child participants. The training emphasized the importance of being vigilant about safety and how powerful the MRI machine is. We discussed what conditions/implants would be contraindicated for an MRI scan and what the safety procedures are. At the end of the training we went into the room with the machine and threw around a tennis ball filled with magnetic paper clips! Overall, I had a very exciting (and busy!) week at the lab and I can’t wait to see what is in store for the upcoming weeks. I just finished the first week of my internship at UC San Diego’s School of Medicine. Thanks to my WOW fellowship, I’ll be here all summer helping to modify an existing treatment for neuroblastoma. According to the American Cancer Society, neuroblastoma is a cancer of the nerve cells that affects young children; it is the most prevalent form of cancer in babies . As my supervisor explained to me on my first day of work, neuroblastoma is especially horrible because the current treatments are far from ideal. At present, there is a very high relapse rate in patients who have been “cured” of neuroblastoma; I was shocked to hear that there is a 60-70% failure rate from remission. Check out this site for some heartbreaking, and hopeful, patient stories that humanize this horrible illness. Once in remission, patients often receive an immunotherapy treatment called ch.14.18 (which, fun fact, was pioneered by my lab’s PI!). Ch.14.18 is an antibody that attacks the GD2 antigen present on neuroblastoma cells. However, I learned that a major problem is that the antigens are also present on nerve cells; therefore, this treatment is painful. Additionally, I was saddened to hear that even with the immunotherapy, there is a low 4-year survival rate at about only 55%. I will be conducting research to see whether adding an experimental compound to the ch.14.18 treatment improves its efficacy. While this may seem like a simple goal, testing this hypothesis will require numerous complex and time-consuming experiments, many of which have never been done before. This week I conducted my first experiment. While I did not obtain great data, I learned a lot about the process of cancer research, which I am finding to be an art as much as an exact science. I was introduced to a variety of techniques I will be using throughout the summer, most importantly, cell culture. 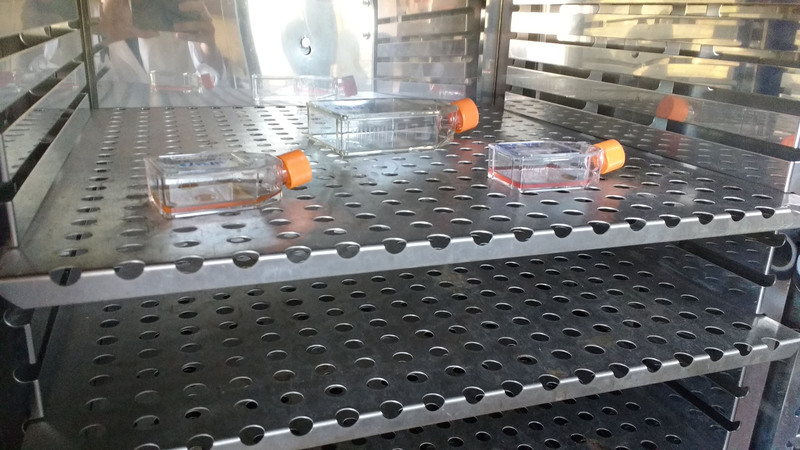 In order to conduct my experiments, I need tumor cells to treat, so this week I learned about maintaining human tumor cell lines in vitro (meaning, in the lab). Cells are quite finicky about the conditions they require for growth, and are also high maintenance, requiring new media every couple of days (a process known as “feeding”) as well as “splitting” when the growth becomes too dense. 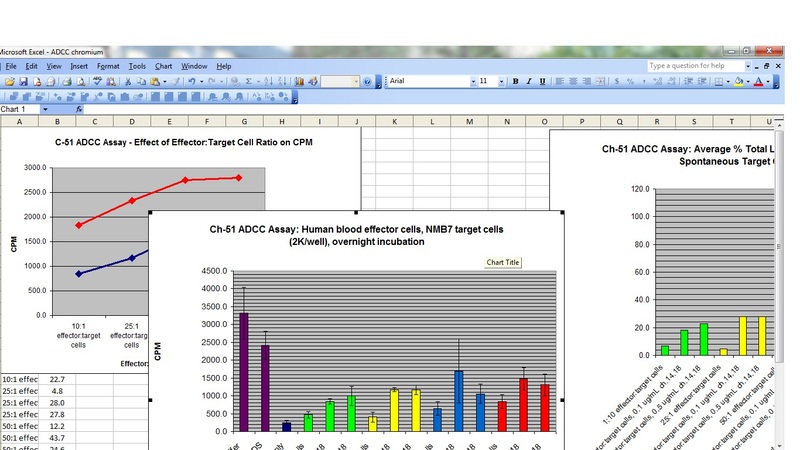 Check out this link for more information on cell culture. 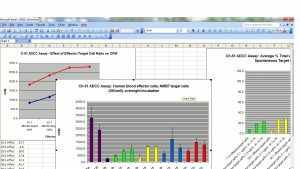 I conducted a preliminary experiment looking at the effects of two different antibodies, as well as the experimental compound, on a human neuroblastoma cell line. Already on day two I was given the freedom to design my own experiment, as far as picking my controls and determining the concentrations of the compounds that I added to my cells. Today I collected and analyzed the data, which deviated from my expectations, so I will be re-doing the experiment next week. I learned an important lesson: research (often) doesn’t go as planned, and as a newbie, mistakes are practically unavoidable. I’m excited to learn more about the research process this summer and to become adept at the techniques I’ve been introduced to. Also, as a pre-vet student, this internship provides an excellent opportunity to see how I like biomedical research, as lately I’ve been thinking about non-clinical aspects of veterinary medicine that might interest me. All in all, I am excited to forge ahead with my research and hopefully make my own small contribution to this very important field. 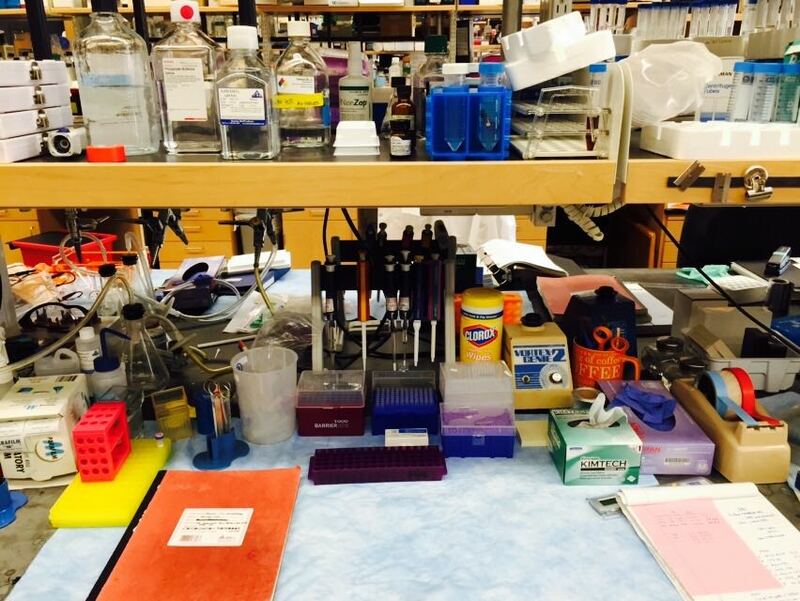 Fact: a productive lab is a cluttered lab! After three seemingly long months flew by, I have finally concluded my internship at the Hoffmeister Lab at Brigham Women’s Hospital/Harvard Medical School. Looking back to when I first began, I see that I reached many of the goals I began my internship with. 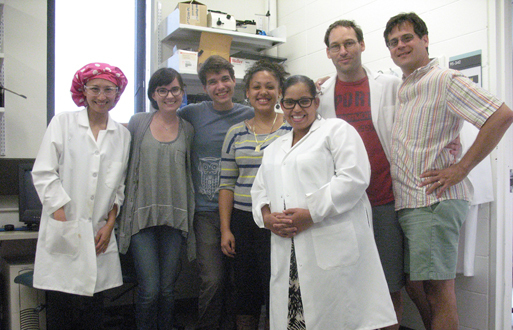 Besides my PI, I networked with my fellow lab members and other interns and researchers from neighboring labs. I also walked out of here with way more biology and biomedical techniques in my toolbox than I had when I first started and in fuller control over my experiments. However, I am most proud of becoming more involved in lab meetings. Before, most of the talks went in one ear and right out the other, but at the end, I could follow along and even give input in editing conference power points and papers. More importantly, these two to four hour long meetings allowed me to observe lab politics and see how doctorates and post-docs fund themselves, mainly through writing and applying for grants such as the Pathway to Independence Award. I also saw how papers are published from start to finish. Data is first collected, which is then analyzed and gone over by the PI and lab team. The paper is then written, submitted, reviewed, edited, and then finally published in journals such as Nature and Blood. While the process of obtaining data and being published is a long process, it is rewarding and well worth the trials and errors. For any student interested in doing an internship at a lab to learn more about scientific research or this career path, do not hesitate to shoot the PI an email. Especially with labs who accepted interns before, many mentors welcome students desiring to gain experience. When finally working in a lab, while experiments may get repetitive, never hesitate to inquire or ask for clarification to understand why you’re culturing these mice cells or running a Western blot. The researchers there will understand that you haven’t reached their level of specialization yet and enjoy seeing students take initiative and think beyond the box. Also, ALWAYS keep a lab notebook to take notes on the protocols shown to you, the experiments you’ve done, and the results you’ve obtained. 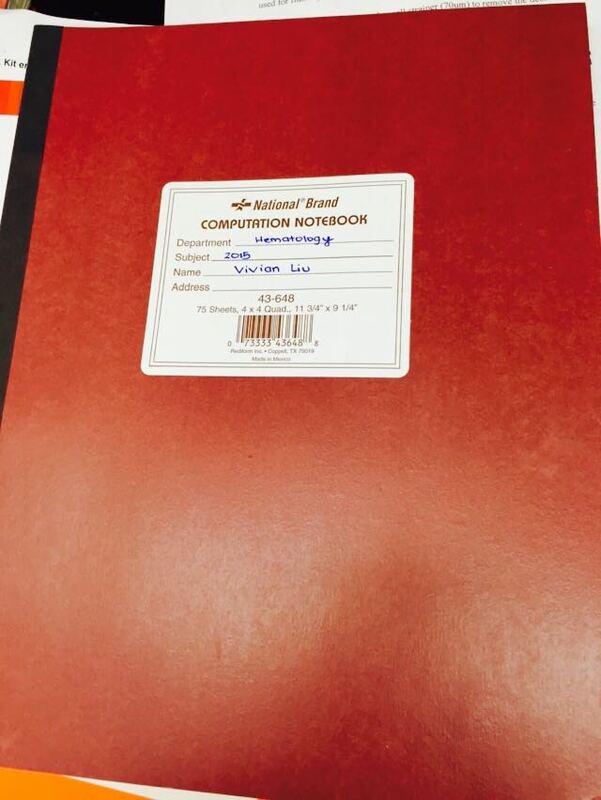 My lab notebook containing all my protocols, data, and results. Most importantly, take the opportunity to ask other scientists or lab techs about their goals and why they chose their career paths. You’ll find that everyone has a different backstory. My PI actually got into an industrial design school before going to medical school to be a pediatrician, ultimately ending up as a researcher and associate professor devoted to glycobiology. By talking to my fellow colleagues at the Hoffmeister Lab, I’ve realized that while science does interest me, I still feel more compelled to work with patients. Although, I wouldn’t mind working as a lab tech for two years before going to medical school and doing part time research in the future. However, I will definitely follow the advice my PI gave me on my last day, which is to always keep an open mind and pursue your interests and heart no matter where you end up, despite how cliche it may sound. Overall, I am extremely grateful for the time I spent at the Hoffmeister Lab and look forward to the upcoming school year. I’m sure all the skills I’ve learned and invaluable advice given to me by my mentors will benefit me whether in the classroom or in whatever career I decide to pursue after I graduate! 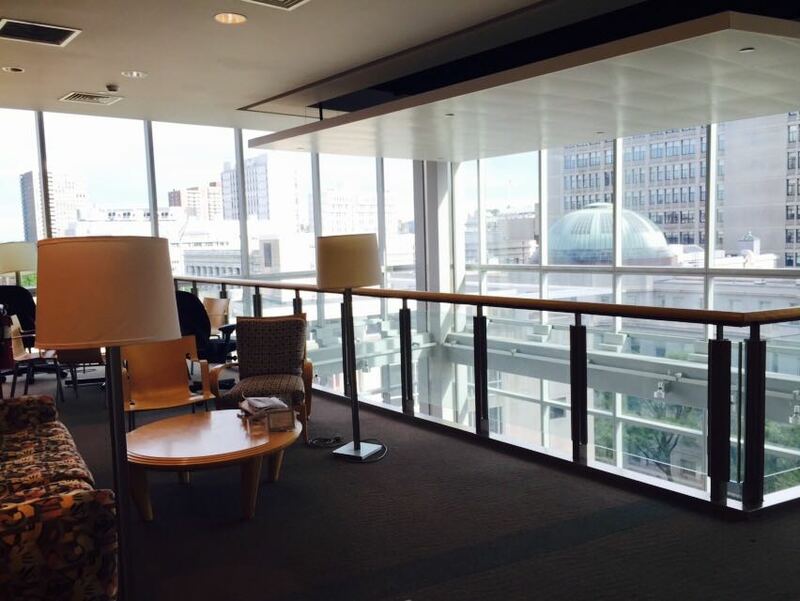 Nice city view from the lounge. I have now reached the midpoint of my internship at the Hoffmeister Lab at Brigham and Women’s Hospital/Harvard Medical School. 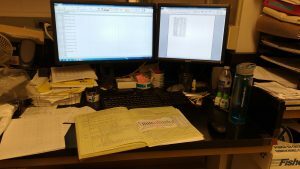 Since starting back in late May, I have pretty much grown accustomed to my work place environment, as my schedule and tasks have been more stabilized and set into stone. 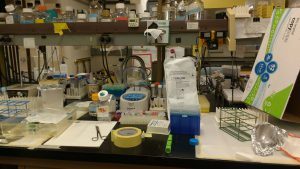 I have practiced and almost perfected some old lab techniques, such as western blotting and genotyping, and at the same time, have been exposed to a variety of new lab techniques, such as microscopy, quantifying protein, and preparing mice samples for flow cytometry. I had also been busy re-running experiments to reconfirm data in preparation for the International Society of Thrombosis and Haemostasis Conference a post-doc in my lab presented at, and got a chance to see how researchers practice, prepare, and present for big conferences such as this one. Of course, I have run into obstacles along the way, such as gaining almost no results from experiments, but as I’ve learned, mistakes are OK and are necessary in the field of science. Success often bears from and conclusions are often drawn from mistakes. 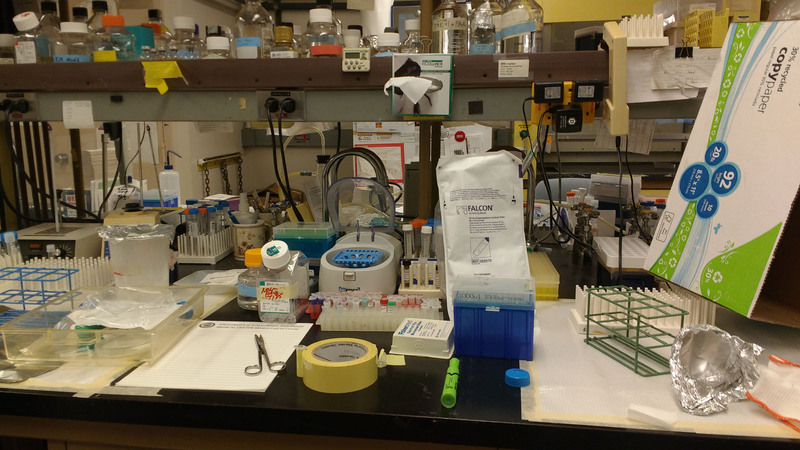 My lab bench where I do most of my experiments. While I was sort of nervous the first week, I now feel more comfortable and independent in the lab. My mentor and other post-doc researchers have given me a lot of guidance in going through experimental procedures. Everyone is very patient and encouraging, and I have grown less conscious of making mistakes. I’ve learned that overall, it’s always better to ask a question, no matter how simple it may be. Preventing avoidable mistakes, such as using a wrong chemical and then ruining the entire experiments, saves a lot of time and money, which are very important factors to consider in a big research lab. More importantly, asking questions to understand the purpose of the technique and experiment is also crucial. I feel that this mindset is different from my university labs, which focuses more on learning techniques. Here at Brigham, I have to decide which techniques to use in order to test and prove a hypothesis or idea, creating a bigger picture, which I still often need guidance on. My internship also differs from my university lab in that I have more of a handle on planning experiments in my given schedule and timetable. Definitely, I have improved in managing my tasks and time in a productive manner, such as planning experiments in ways that avoid coming into the lab on the weekends. As mentioned before, while I have learned a lot method wise, my critical thinking skills have vastly improved. Interestingly, I have applied a lot of the knowledge I learned from the biology courses I’ve taken at Brandeis, which is very cool. 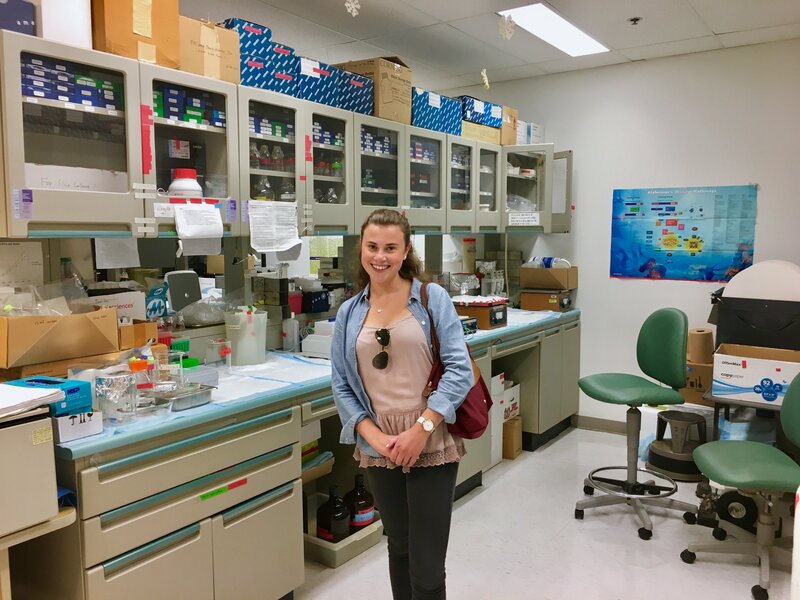 Outside of benchwork, I have had opportunities to eat out with some of the lab technicians, post docs, and PIs in and outside of my lab, allowing me to expand and build stronger networks and at the same time, learn more on their thoughts about their jobs. 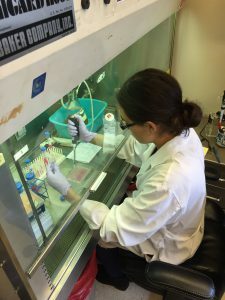 Ultimately, the techniques I have learned and the relationships I have built here at the Hoffmeister Lab will help me when I consider or apply for a research job such as a lab tech when I graduate. More importantly, the critical thinking skills I have been practicing will help me anywhere, whether for my science or health policy classes I will be taking this upcoming semester at Brandeis, and also in my future career choice, which might not even involve research! After laboring through a year of the infamous organic chemistry and surviving, summer has finally come. For this summer, in order to apply my school knowledge and to pursue my interests in medicine and research, I secured an internship at Brigham and Women’s Hospital/Harvard Medical School, located in the heart of Longwood Medical Center, which houses a plethora of hospitals and research buildings in Boston. The area is bustling with activity from morning to late evening, with patients, scientists, physicians, and students rushing to their appropriate destinations, ambulances blaring through the roads, and helicopters hovering over hospital buildings. Brigham and Women’s Hospital, one of the largest and top teaching hospitals in the nation, aims to transform the future of healthcare through science, education, and compassionate care on both a local and global level. Along with Harvard Medical School, these organizations offer each other the opportunity for educators and leaders in their respected fields to mentor and nurture aspiring physicians and scientists, fostering a diverse community committed to leadership in alleviating human suffering caused by disease. I specifically have the pleasure of working in Dr. Hoffmeister’s Lab in the Division of Hematology, formerly known as the Division of Translational Medicine. The Hoffmeister Lab’s focuses on the molecular mechanisms of platelets survival and hemapoetic stem cells (HSCs). HSCs have the fascinating ability to differentiate into all different types of blood cells and tissues, including platelets. Ultimately, the research done here will expand the overall knowledge on platelets and homeostasis, opening doors to treatment of various blood cancers across the globe. A specific project I will be working on is titled “b1,4 Galacosyltransferase T1 is a key regulator of hematopoiesis,” which investigates the role of the enzyme b4GalT1 in the formation of blood cells and platelets. My first week, however, mainly consisted of acquainting myself with the Principal Investigator (PI) and the other personnel in the lab. I shadowed and observed another post-doc, taking notes on how to perform various assays, such as immunoblotting and immunostaining of various mice blood cells, and learned how to use the FACs, a machine utilized in flow cytometry, a core technique used for cell counting, cell sorting, and even diagnosing diseases in labs and clinics. My supervisor gave me a shot at dissecting mice and mouse embryo to obtains cells from their bones, spleens, and livers as well. At the end of the week, I also attended my first lab meeting. While I didn’t contribute much, I observed how data is presented, how questions are posed, how presentations are prepared for conferences, and how future steps in this lab and future experiments are determined and designed. Ultimately, during my time here, I hope to become more independent and willing to tackle challenging assays, to master more high-level biochemical techniques, and to contribute to future meetings. While the experiments I will be doing aren’t large themselves, such assays are still important for the development of the overall project. But more importantly, as I forge connections with both established and budding researchers and physicians in and outside of the lab, I hope to gain a good sense of this career path. And while I might not necessarily end up becoming a scientist, the people I meet and the skills I learn will still help me later on down the road as I think about and search for jobs. Overall, despite my jammed packed first week, I am excited and look forward to seeing how the rest of my internship develops! At the beginning of the summer, I wasn’t quite sure what to expect from my internship at Boston Children’s Hospital. I wasn’t 100% set on whether a career in the medical profession was what I wanted to pursue or whether this opportunity was going to teach me things beyond what Brandeis had already given me. Upon entering Children’s on my first day back in early June, all doubts I’d had vanished as I was immediately submerged into the hustle and bustle of a hospital work environment. There was never a dull moment over the summer, but rather a constant stream of interesting work to be done and knowledge to be gained. From my work on the Female Athlete Triad screening survey to analyzing data in the retrospective chart review, working at Boston Children’s Hospital enabled me to fulfill all my anticipated goals. Although most of my work was centered primarily around research, I was still able to participate in patient care and even serve as a test dummy for a few clinical tasks that needed to be done. Being able to experience multiple facets of the medical career not only helped me visualize my future goals and dreams but provided me with a deepened view of how research can be conducted. Although my main supervisor was a doctor, I made connections with nurses, physician assistants and research coordinators, all of whom aided in my success over the summer. Working with all these different types of people allowed me to get many different prospectives on how the medical system works and how it requires a great deal of coordination and balance between each sector for things to run smoothly. All the tasks I had to complete this summer broadened the knowledge I’d gained from Brandeis as I finally got to put theory into practice. I believe that my experiences at Boston Children’s Hospital will directly translate into furthering my Brandeis education. I now have a grasp on research in a clinical setting and can begin to explore my own ideas for research in the future. At the midpoint this summer I had begun working on my own project to get the Female Athlete Triad into the forefront of Brandeis Athletics and have since been in contact with the athletic director to get the gears in motion. Using Brandeis as a launch site, I hope to be able to expand awareness of the Triad into other colleges and athletic programs in the area. My biggest advice to a future Boston Children’s intern is to never be afraid to ask questions and always have a notebook available to jot down notes. When I first began my internship, I was always nervous to ask questions but I slowly became more comfortable with my supervisors and the questions began to naturally flow. 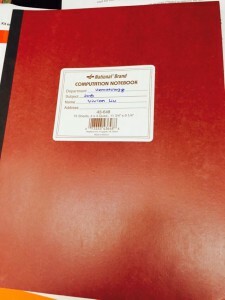 Having a notebook was also a large component to my success as I would typically review what I had learned that day every night just to make sure there wasn’t anything I needed to get clarified. I absolutely loved every minute of working at Boston Children’s Hospital. The staff I worked with and the patients I got to meet made a huge impact on me and my future aspirations. I hope to continue with the connections I made and thank Brandeis and Hiatt for the amazing opportunity I was given. Having reached the halfway point of my internship at Boston Children’s Hospital, I have successfully completed the patient survey and have begun to work on implementing it into a clinical setting. Through the use of this survey, patients will be prescreened for Female Athlete Triad, enabling doctors to provide better care to their patients. Having completed the survey, I have progressed into seeking IRB approval for a retrospective chart review study on female dancers to see how Female Athlete Triad affects their health. In gaining approval, I have had to use a great deal of my Brandeis knowledge, as being able to write scientifically plays a vital role in the process. Although my scientific background has provided me a firm basis for a lot of the work I’ve done at Children’s, my internship has taught me so much to this point. I have become much more comfortable interacting with professional medical staff through asking lots of questions and by taking their feedback on the projects I work on. I also have learned a great deal about doctor-patient interaction and how to best serve individuals in a professional manner. Many of the experiences I have had at Children’s are unlike anything I would be able to have on my own, so each day is a learning opportunity. I’m proud of my ability to use the knowledge I’ve gained at Brandeis in a real-world hospital setting. Compared to the other interns who work with me, it’s clear that Brandeis has given me a step up in many aspects including the efficiency and quality of my work as well as my ability to work in a professional setting. My internship at Boston Children’s Hospital has thus far solidified my interests in pursing a career in the medical field that encompasses both patient interaction and research. Through working with my supervisor I’ve begun to develop my own ideas on research that I could pursue on my own after my internship at Children’s is over. I’ve also started a discussion with my supervisor on trying to implement a Female Athlete Triad program within the Brandeis Athletic Program to educate athletes on the issue and hopefully aid in prevention. Upon completing my time at AVODAH I began to think about what made me come to this organization in the first place, and beyond that, if I got out of this experience all that I had hoped for. AVODAH is an organization which upholds ideals which are important to me. My father worked in international human rights and refugee law, and my grandparents dedicated their lives to immigrant aid and preventing poverty amongst Jewish immigrants to Canada. Consequently, I grew up imbued with ideas of social justice, helping others, and understanding that my world is affected by all those in it. There was huge emphasis on the importance of ensuring social welfare and justice. That’s why I applied to work at AVODAH. I, as a product of my environment, felt a responsibility for others and valued my Jewish experience: AVODAH looked like the perfect blend of both. I had two main goals coming into AVODAH: to experience social justice, and to learn about not for profit work. I’d be hard pressed to say that the day-to-day administrative work at a not for profit is exhilarating, but there were constantly valuable learning opportunities. All organisations have different departments that interact with one another, but at AVODAH most of these departments were staffed by one individual. Being present at staff wide meetings, and participating in conversations about strategy and how to proceed was fascinating. Every individual brought to the discussion not only their department’s goals, but their perspectives as unique individuals trying to accomplish those goals. It taught me that differently minded individuals create productive environments. Aside from the work I did for AVODAH in the office, I was also able to experience firsthand some projects that the organisation undertook. 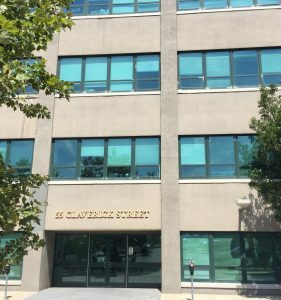 One of my supervisors began to teach at a two week program called JUSTCity which was a project of List College (the joint program between the Jewish Theological Seminary (JTS) and Columbia University). Through this program eighteen high school students came together to discuss issues of social justice and inequality in New York City through a Jewish lens. It was first quite empowering to learn about Jewish attitudes to communal service, and the responsibility to contribute to the pursuit of justice. A particularly amazing experience I had in this program was hearing the thoughts and questions asked by the young high school students who participated in this program. I have been conditioned to this larger conversation in my personal upbringing and my time at Brandeis. Hearing this conversation through a different lens was enlightening and refreshing. As I return to Brandeis I bring with me these conversations, these questions, and most importantly the lack of answers. I think that something that most people hope to get out of a summer internship is a potential career path, or some enlightened view on your life’s goal. I don’t think that’s what I got out of my time at AVODAH, I’m actually unsure if Jewish not for profit work is really for me. I did however garner a profound respect for the work that has to be done. I hope that I can translate that respect into this coming year at Brandeis by observing the world through not a new lenses, but various lenses. At Brandeis I often hear the question “What does Social Justice really even mean?” asked a lot. Many friends of mine are often frustrated with the answers given or even the lack of any answer at all. I’ve realised that answering this question is not necessary. What’s most important is that we keep asking the question. As long as it’s being asked, we will strive to answer it, and as long as we strive to answer it, we will pursue social justice. I am a little over halfway through my internship at the Consortium on Gender, Security, and Human Rights and I am amazed at how much I am learning! I went into this internship hoping to primarily advance my research skills, and the Consortium has definitely provided an opportunity to do just that. I have been assigned to the Masculinities and Armed Conflict annotated bibliography . I have been locating recent articles on hegemonic and alternative masculinities, on peacekeeping operations and sexual exploitation, and the role of masculinity in military trainings. 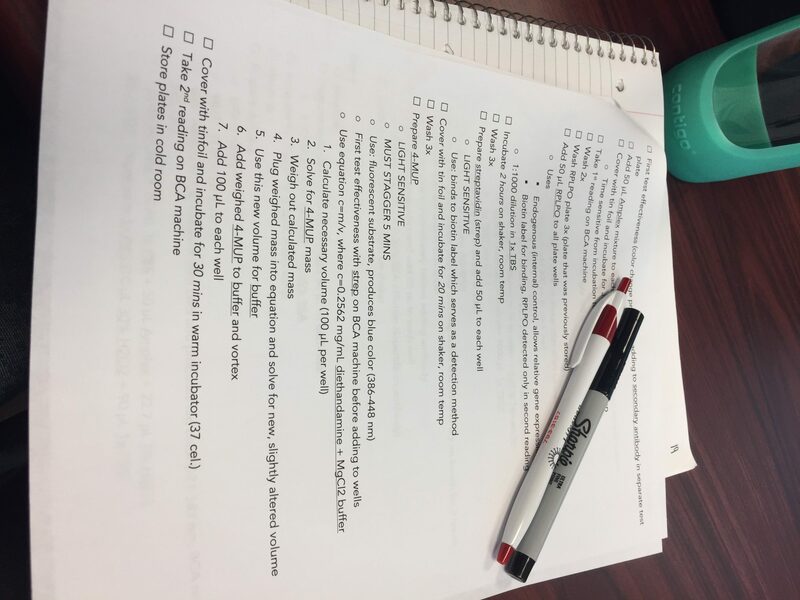 We also spent a day learning about research techniques, including Boolean Operations, and other ways of better utilizing resources such as JStor and Academic Search Premier. The Consortium also recently brought in a speaker to discuss his work on masculinity in armed conflict with the interns, and I was able to connect with him afterwards to discuss resources on this topic. I am grateful that the Consortium puts us in contact with such interesting speakers and valuable organizations! I find that research is not the only skill I have been developing here, as I have learned a ton about organization and team leadership. I have been placed as team manager on the Syllabus Collection project, which gives me the opportunity to research academic programs regarding gender, politics, armed conflict, and international relations, and practice writing professional correspondence. The best part about it, however, is that I am getting leadership experience in managing a team, which is something I find I enjoy much more than I thought I would! The work I am most proud of, however, is the work I have done on the Country Profile and Thematic Reports for the NGO Working Group on Women, Peace, and Security. The NGO WG draws on these profiles and reports that we draft to write their Monthly Action Plan (MAP) Reports, used to bring issues of women, peace and security to the United Nations Security Council. I have been researching the ways the mandates and resolutions of the UN Security Council adequately (or, often, not) address issues of women, gender, gender equality, women’s political participation in the peace negotiation process, etc. I was assigned to draft reports for South Sudan, Syria, and Israel/Palestine, which gave me a chance to read up on what is currently happening in these areas with histories of brutal and deadly conflicts. The works I am reading are both informative and disheartening, but I am glad that this internship is a motivator for keeping up-to-date on international news and events. Looking forward to this upcoming week: our associate director will be leading us in a yoga class on the green by the bay outside of the office! It’s hard to believe my internship at the LCADP is over. Although I’m not in New Orleans anymore, it won’t really be over. I feel very connected to this organization, so I will be keeping in touch, and finishing some projects over the next few weeks. One task in particular was a challenging one for me: I created a phone app this summer, based on a calendar that was developed last year for Catholic Churches and High Schools to become more involved in social justice. This was new for me because I was not brought up in a religious household. I was able to accomplish the task however, and in doing so, I learned a lot about a part of peoples’ lives I knew very little about, and also learned how to work well with a different community. I was able to reach out to religious leaders and get feedback, advice and encouragement. This was a unique and wonderful experience that could have only happened by working for this organization in Louisiana. This experience has given me an excellent platform to continue my entrance into the criminal justice field. I have made many connections this summer that I will carry with me both at Brandeis and in the outside world. I have applied to work for an Innocence Project housed at Brandeis because of this experience, and intend on looking in to Investigative Internships for next summer because of the work I did with investigators this summer. After getting a taste of work in this field, I want to learn everything there is about criminal justice and human behavior. I am truly inspired and am actively seeking out more information. There is so much for me to learn, and I am very excited for all of it. I am keeping up to date on executions in the U.S., and continue to read through material I received this summer. A lot of the work I did was with defense attorneys, so I’ll be keeping in touch with them and following their work. I will also be keeping in touch with the inmates I met this summer, because they mean a lot to me, and I was lucky enough to become pretty close with them during my time in Louisiana. My advice for students looking at this type of work would be to be prepared for very long hours. The people who work in the law offices I worked with do not sleep. It is very intense, hard, depressing work, so people with a sense of humor and a sense of justice are required. The humor is to stay sane, and the sense of justice is to remind you why you’re putting in 70 hours a week and not sleeping. It sounds horrible, but the work is the most fulfilling work I’ve ever experienced. I would also suggest doing more listening than taking. The people in this field know so much. They’re the best of the best because they’re self-selected to work as hard as they possibly can because most of the time they lose cases. They have to be smarter and better than the average lawyer and investigator, because they’re up against society’s norms and standards. My goals and spirit for justice has been reinforced this summer, more than any other time in my life. I am positive that criminal justice is something I want to fight for. I was challenged a lot this summer by being in Louisiana. It’s a hard place to be when you’re fighting for the rights of poor people. What kept me going was the passion I felt, but also the grit and determination I observed from my boss and co-workers. It was beautiful, inspiring and refreshing. I couldn’t have asked for a better summer. More attention is being brought the the injustice of the death penalty! Let’s keep it going! 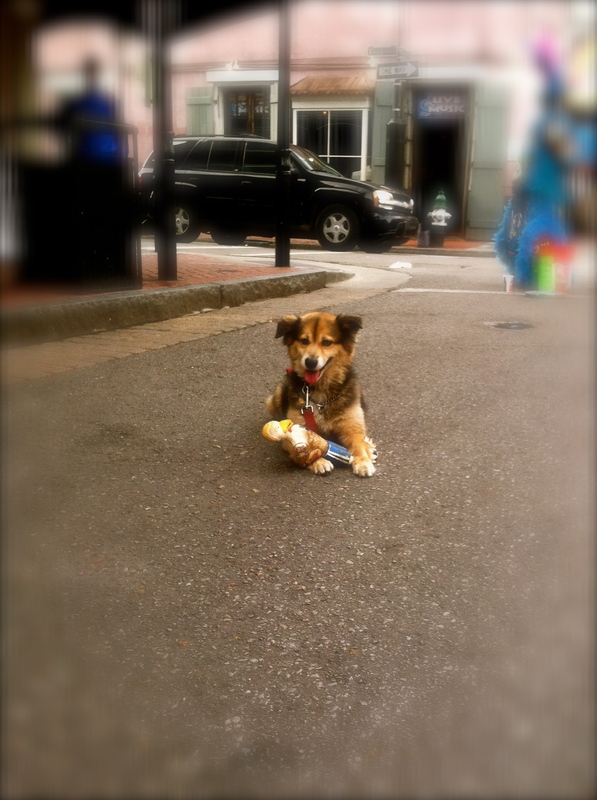 No internship is complete without seeing a cute pup on the street. Great book to check out. This is an early edition given to Sister Helen, but it’s coming out soon, so look out for it! 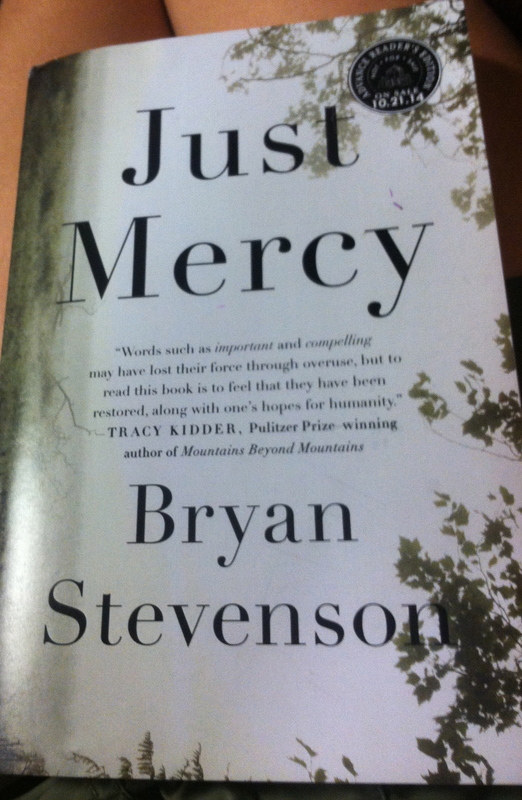 Bryan Stevenson is one of the leading Capital Defense Attorneys in the world; truly an amazing human being. Reflecting back on my internship at the Consortium on Gender, Security and Human Rights, there are many things that I have taken away from this experience that will enrich my life here at Brandeis and beyond. As a student, this internship opened my eyes to range of armed conflicts and human rights abuses taking place around the world today. I am so much better versed in geography, in international and comparative politics, and in current issues. I have learned an entire new language almost — that of gender analysis as a lens through which to more comprehensively research situations and conflicts. As a senior-year student, with an imminent post-grad job search always in the back of my mind, this internship also helped me to see what working in NGOs and research or advocacy groups might be like, and put me in contact with a whole range of interesting organizations from all around the world. Now that I have completed this internship, there is even more I want to learn than when I began. At the Consortium, we read and spoke a lot about peacebuilding processes post-conflict, as well as peace negotiations during conflict. Being a “peace-nik” used to get me called “naive” or “idealistic.” Now, I know that there is a whole body of research out there on these kinds of peace-building processes and methods of post-conflict reconstruction, that show this kind of work to be valuable, practical, and tangible. Moving forward, I want to conduct targeted case study research on what kinds of peace-building and post-conflict reconstruction strategies actually work, and why (from an individual level, incorporating my psychology major). I want to look at the effect of sustained and chronic stress in conflict on the psyche, and its implications for post-conflict reconstruction and peacebuilding work. As a Social Justice recipient, this ties directly into both challenging and reinforcing my ideas of social justice. I feel relieved and gratified to have read and immersed myself in research devoted to the practical application of peaceful solutions to violent conflict. Cycles of violence are endlessly complex and self-reinforcing, and it takes incredibly careful and thoughtful research to look at why these cycles of violence are perpetuated, and what kinds of interventions or support can help them to find new paths to peace. At this internship, I learned how to better ask the important questions, how to analyze conflict from a gender perspective— and ultimately, learned that this type of research does exist and, armed with this knowledge and experience I have gained, I feel I can become a more effective, informed, careful and practical peacebuilder in my future work. My advice for any student interested in working at the Consortium? Read up on current events! You will get so much more out of the discussions and research if you already have a foundational base of knowledge about current world conflicts. When I began my internship, I didn’t even know where some of the countries were that we were studying. Another thing I would advise, after a more personal reflection, for anyone looking to work in this field– would be to really know yourself and respect your limits. There are endless amounts of work to be done at this kind of small NGO, and often there is not enough staff or funding to get it all done. At one point in the summer, I found myself being added to more projects than I could possibly keep up with. I requested a meeting with my supervisor– and it was the first time I have ever had to tell a boss or teacher that I simply could not finish the work, that it was too much. She was incredibly understanding, and immediately shifted one of the projects to another intern who was looking for more work. It was such a simple thing for her, but such a huuuuuuge weight off my shoulders for me. I learned a lot about respecting my self-limits at work, and about leaving work at the door once I came home. Finally, I am incredibly that this WOW Fellowship gave me the opportunity to have this experience at the Consortium on Gender, Security and Human Rights. I have learned so so much and my life has been so incredibly enriched, and I genuinely could not have done this without the WOW! Having worked with Healthy Waltham closely for the past few months, I have come to appreciate the complexity and effort that goes into nonprofits. Organizations like Healthy Waltham rely on a vast variety of people to promote healthy eating and living. It takes all kinds of people within the organization to push an idea, and community members are equally, if not more, important in creating change. It’s a team effort in which everyone invests. When the community members are engaged and interested, it works. But not everything works out all the time. You just have to make the best of it. A large part of my internship was supposed to be teaching a healthy cooking class, but the class ended up being canceled. The kids preferred other activities. I felt really disappointed in myself for not creating a class the students wanted to keep. I could have seriously increased my fun-time with fewer obligations at the internship, but I focused my attention on programming and administrative projects instead. 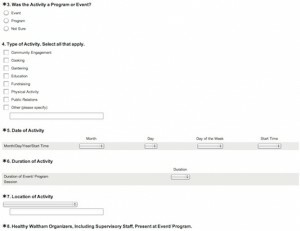 For example, reporting methods for events and programs was fragmented since HW gained 501c3 status, so I created an online survey. Moving forward, we should be able to see information like where and how most of our time is spent. That information will help answer questions raised at a strategic planning meeting about how HW is growing and how it should focus. Now that I have learned a bit about community health from one nonprofit’s perspective, I want to learn how research is applied to public health. Although I wish to pursue a research and medical career, I want to remain involved in public health. The most important improvements in the population’s health has been through public health initiatives rather than scientific discoveries (see “Medical measures and the decline of mortality” by John B. McKinlay and Sonja M. McKinlay). The next step would be something in translational medicine or research! It has always sounded exciting, but how to get my foot in the door…? Even though my internship is over, I am now a real employee. If someone wants to be involved with Healthy Waltham or a similar health organization, just reach out! Take the initiative to start the conversation and show them you are interested. You will likely need several emails, phone calls, meetings, or a combination; but if you are dedicated and passionate, you will find someone who could give you the chance. You never know where you will end up. Bitter Sweet Completion of my TLHRC Internship! I can’t believe this internship has come to an end, but yet it is bitter sweet. Being a part of the Tom Lantos Human Rights Commission has been an amazing experience that I will never forget. Midway through my internship I started to take my role to the next level by taking on more responsibilities and projects. Throughout my internship I have completed many projects such as letters to specific human rights organizations (including amnesty international), planning summer information series for American University, planning congressional briefings on pressing human rights issues, and maintaining the office by ordering supplies. This difficult but rewarding experience will help me not only at Brandeis but in my future career because it has challenged me to push beyond my knowledge and educate myself with issues I was previously unaware of. At Brandeis, I now feel more comfortable with my IGS major because I now am now more geographically and politically aware. In addition, this internship will not only help my resume for my future career but it has taught me professionalism and how to work as a team with my colleagues. Now that my internship is complete, I would like to pursue another internship experience within a Business setting. I am very passionate about my work I did this past summer, but it will not be feasible for a sustainable career. Hopefully next semester I will have the opportunity to broaden my internship experience and have it be applicable to my future career. I hope to learn tools outside of the political realm and incorporate both of my skills. I advise anyone that would like to pursue an internship at the Tom Lantos Human Rights Commission to be a self-starter and be able manage stress well. Being a fellow here requires a lot of patience and great communications skills. It is an amazing experience that I would encourage anyone to take advantage of. I now have many amazing memories from the work we have done at the Commission and the people I encountered. Although this internship was great, I do not advise many people to pursue a career/ internship in human rights. I know this may sound bad, but do not take it negatively. I strongly encourage everyone to volunteer and be activists for pressing human rights issues, but it is very difficult to make a difference no matter what your internship or position may be. Most of my colleagues who are highly educated with masters and doctorates were having trouble finding a full time job. It is definitely a field that I have promised myself I will always be involved with, but it is very frustrating because it is difficult to see change. Author ndepinaPosted on September 2, 2014 Categories Recipient of Science WOWLeave a comment on Bitter Sweet Completion of my TLHRC Internship! Well, my last assignment for AFJ is finished. My office is packed. My good-byes have been said. It’s really strange to think that I won’t be researching foundations in areas where we are expanding our Bolder Advocacy Initiative anymore. I find it bizarre that I am done with critiquing how our organization can promote a particular fundraising platform on social media. As proud as I am of my participation in our Justice First! and intern luncheon, it’s a little sad that I won’t be at our gala in New York in December that I’ve evaluated spaces for. But the good news is that even though my internship with Alliance for Justice is over, I can continuing developing my skills in development at other organizations. I want to continue learning more about grant writing and foundations and their relationship with nonprofits. Fortunately, one of my supervisors pointed me into the direction of the Association of Fundraising Professionals. 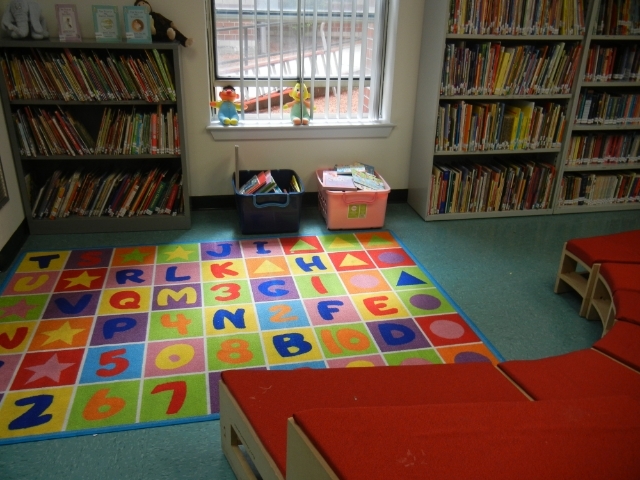 Their resource center can be found here: http://www.afpnet.org/ResourceCenter/?navItemNumber=502. I intend on using this organization to improve my skills and understanding of fundraising as a profession. My internship at Alliance for Justice has really inspired me to search for more development internships this year so I can continue building my development resume. After working in development for three months, the advice that I would give to someone who was interested in this field is to take advantage of the fact that you live and work at a non-profit. Brandeis University is a non-profit organization and thus has lots of opportunities for people interested in fundraising. All of my friends who have worked at Phonathon have had a wonderful experience and a better understanding of what individual fundraising entails. I am really excited to examine how Brandeis uses development in its mission in my final year here. As for advice specific to this internship, I would highly recommend getting to know the people in the office. I guess this probably applies to any internship, but you never know what kind of journey someone has had to their current position until you talk to them and those conversations can be so informative and helpful. Just taking someone out to coffee can provide more reassurance and resources than a hundred Google searches. I think that when most people think about social justice and the courts, they tend to think of public defenders, or victim’s rights advocates, or other people who are using the law to directly empower people, usually in criminal law. My summer at AFJ has taught me that in addition to those issues, we must focus on making sure the very institution of the courts are fair at all. This focus on systematic change has altered my opinion on how to approach social justice writ large and the importance of legal institutions. I am really excited to continue my work at AFJ by promoting their upcoming documentary on forced arbitration. People don’t generally consider what they are signing themselves up for when they click yes on a terms and conditions agreement, but chances are they are agreeing to a mandatory arbitration agreement. These clauses deny people access to the civil court system when they are wronged and create horrible externalities for consumers and employees. If you want to learn more about mandatory arbitration clauses, you should check out AFJ’s work on them: http://www.afj.org/our-work/issues/eliminating-forced-arbitration. I’m intending on bringing a film screening of the documentary to campus, so you should also definitely come to that if you’re as outraged as I am that these things exist. Just in closing, I want to give a shout out to Hiatt’s World of Work program for giving us this amazing opportunity. 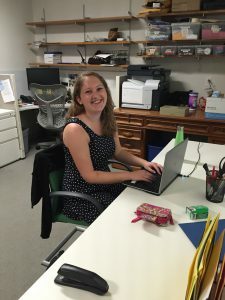 Taking on an unpaid internship for the summer is such a privilege and that fact that Brandeis facilitates this demonstrates how committed it is to its students. 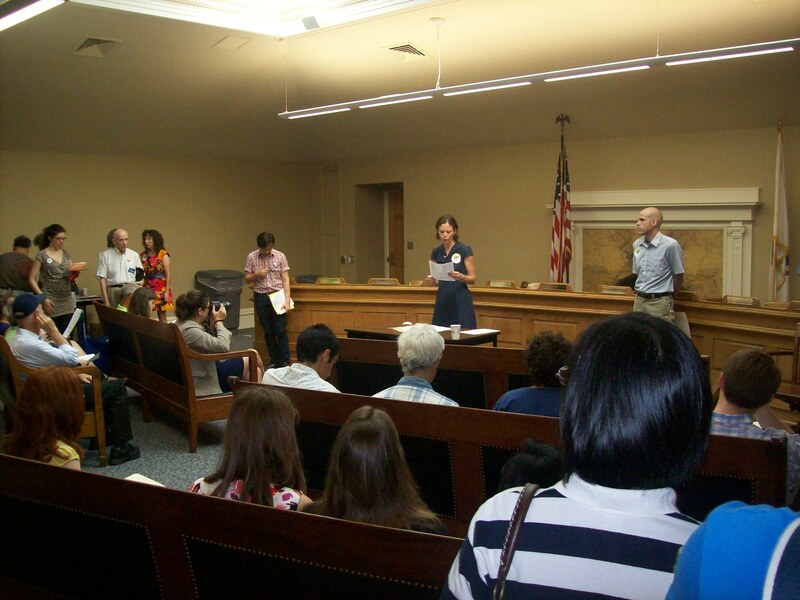 This summer, I set out to learn more about Massachusetts law and talk to people at MCAD to get first hand experience. My internship had me working closely with the Director of Housing and Testing as well as housing investigators and employment attorneys. Whether I was drafting complaints and letters or performing tests to find evidence of discrimination, I got a chance to learn (sometimes through trial and error) about how a government organization runs. I learned a great deal about the law through drafting legal documents which enhanced my attention to detail and writing skills. I also learned how different federal, state, and municipal organizations work together to uphold the laws. To students looking to intern at MCAD, my advice would be to learn as much as you can. Ask attorneys questions, go to brown bag lunches and read cases. It was definitely the best part of interning. Not only is MCAD a government organization, but it also deals with legal documents, huge databases, and other closely knit organizations such as the EEOC (Equal Employment Opportunity Commission) and HUD (Department of Housing and Urban Development). I now have a greater understanding of what Massachusetts Discrimination law is, how it works, and how it is carried out. This information is also useful in understanding how law in general works. I learned about the different steps taken at the organization once a complaint is filed, such as investigation, finding, mediation, and possible hearing. The work that interns do is fun and challenging, but the best part is definitely learning and getting to know the employees and interns around you. Interning at MCAD has reinforced my ideas about social justice. Especially when I was on intake, I got a chance to interact with people having a hard time because of the discrimination they faced in everyday life. It doesn’t seem right that someone should have to come to an organization and take time out of their lives to make sure they can feel safe at work or be able to find a place to life. If anything, working at MCAD has made me realize that more should be done to enforce the ideals that the Massachusetts law promotes. Even though I was a small part of the work at MCAD, I felt that I could change people’s lives by writing them a good complaint and helping them through what is at times a very difficult process. Having completed my internship at, I would like to get more experience in litigation and civil rights law to learn what more the law has to offer in order to help people who are treated unfairly. Until next summer, when I plan on interning somewhere that I can be involved in civil rights, I plan on taking classes to learn more about the law and the history of discrimination in the United States. Additionally, I hope to join an innocence project during the school year. Working at MCAD has definitely made me want to become more involved. As September approaches, my summer work at the Behavioral Health Partial Program at McLean Hospital is coming to a close. I have accomplished a lot this summer and was involved in some incredible projects. As I reflect on my learning goals, I realize that I managed to fulfill all of them. My main goal was to form a greater understanding of research in the realm of clinical psychology and within a treatment setting. Throughout the summer I was involved in many research projects where I learned how to research a topic, form a research idea, organize data, and write up results in a publishable research paper. For my main project, I was able to research the predictors of suicidality in patients with psychosis. This project is ongoing, but I have completed the introduction and am currently working on the methods for this paper. This project has provided me with immense insight into the research process. However, I am not only grateful to be involved in this project, but I am also grateful to have worked at the BHP where the research is focused on treatment outcome in a naturalistic setting. Last week, I had a chance to observe group therapy, where group leaders teach patients skills in cognitive behavioral therapy (CBT) and dialectical behavioral therapy (DBT). I had the task of completing fidelity scales, or scales I created based on group protocols. After selecting a specific set of therapy groups, we created fidelity scales from the important aspects of the protocols. Then, I sat in on these groups and marked when the group leader spoke about an important topic necessary for the patients’ understanding of the specific skill. Having a measure of treatment fidelity ensures that the patient is provided with the intended treatment. These scales can also be used for research purposes, allowing the BHP to confirm that the patient is really being taught CBT and DBT skills. Sitting in on therapy provided me with a greater understanding of how CBT and DBT are extremely important for the rehabilitation of those batting a range of mental illnesses. Watching patients’ engagement and listening to their stories and ideas made me realize how important this treatment is to their overall well-being, and I am extremely lucky that I was given the chance to witness patients’ learning and healing. Therefore, besides my research projects, I was really able to understand the therapy provided to the patients at the BHP, which helped to broaden my clinical knowledge. I will use all of my research knowledge I have acquired at the BHP as I begin my thesis project as a senior at Brandeis. This knowledge will not only help during the rest of my time at Brandeis, but as I continue in a clinical and research career. During this internship, I have recognized that my passion lies within the clinical field of psychology. I am eager to learn more about different types of therapies and treatments for mental illnesses, and I am excited to learn more about clinical research in the future. As a student with a passion for clinical psychology, I encourage other students interested in this field to explore and learn as much as possible about different illnesses, treatments, and research. I highly recommend pursuing an internship, since it allows students to narrow their interests. An internship will help confirm whether or not clinical psychology is the right career path. It may also provide insight into whether or not the student is interested in conducting research, providing treatment, or both. 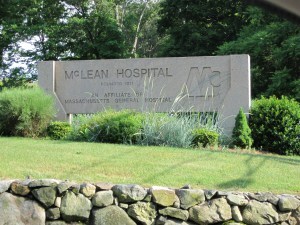 I would highly suggest looking into an internship at McLean Hospital. Not only is it the #1 psychiatric hospital in the nation with the best treatment programs and incredible research, but it is also a place to meet and connect with so many people with a strong passion for clinical psychology. I have learned so much from working with the clinicians and researchers at McLean, and they have inspired me to keep working towards the career I want- a career in clinical psychology. 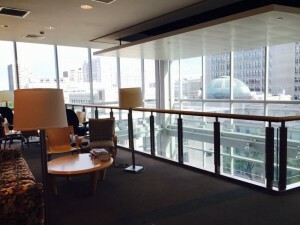 An office is a very artificial environment. It is a space that one shares with people that you may or may not have things in common with for nine hours a day, seven days a week, fifty weeks a year. That is an incredible amount of time. I have had the privilege to spend those hours at Alliance for Justice with people who truly care about social justice issues and whom I have been so fortunate to get to know. In the beginning of the summer, I made a goal to learn how to network. While I may not have formally asked someone to be my mentor yet, I have learned a lot about my colleagues and their career paths and I’m really happy with that development. This entire summer has been one of growing but professionally, I think the thing I am most proud of so far is the improvement in my writing abilities. When I was looking for internships for the summer, I would often be asked for a writing sample. Because most of my writing is academic in nature I would end up sending in papers about really obscure topics. Now, part of my job is to proofread my supervisor’s work and I have even been permitted to contribute to some grant reports we have given. I have a better understanding of grant writing and really what it means to have professional writing experience. This will certainly allow me to transition to looking for a full time job in the spring. One of my other big goals was to learn how to take criticism better and then to apply it effectively. I have found my supervisor’s strategy of giving me comments on my assignments instead of having very formal evaluations to be very effective. My writing and research has improved and I have gradually been entrusted with more responsibility. A few weeks ago I was even able to produce my own writing for a report to a foundation. I was able to staff one of the biggest events we did this summer, our Justice First Luncheon at the National Press Club. The luncheon was a fantastic learning experience because I was able to see how a large scale event is planned. As I did the minutia of confirmation calls, stuffing name tags, and depositing checks I was able to develop my organizational and scheduling skills. I will gladly bring these back to campus in the fall while I am planning the Brandeis Debate Team’s tournament. Throughout the process of the luncheon, I was able to further my academic goal of figuring out how nonprofits apply the theory of social justice to practice. For example, we specifically sought out union made goods and vendors that had a good reputation for workers rights. On a more macro level of examining social justice, I’ve been impressed with how many women are in leadership positions at AFJ. As a Women’s and Gender Studies minor, I learn about how women are constantly underrepresented in business, government, science, etc. This is clearly a social justice problem because if those voices aren’t heard then that is a whole half of the population that is not getting a say in the political process. Even though we have a long way to go before women are truly free from prejudice and discrimination, it gives me a lot of hope in to see such an important organization with women at the helm. If you want to see more ways that AFJ tries to advance the cause of women’s rights, you should check out our documentary about how many states are currently trying to loosen protections on a woman’s right to choose. It is called Roe at Risk. I am having a truly amazing experience here at AFJ, and we are actually looking for a fall development intern. If you want to find out more information, check out our idealist listing. 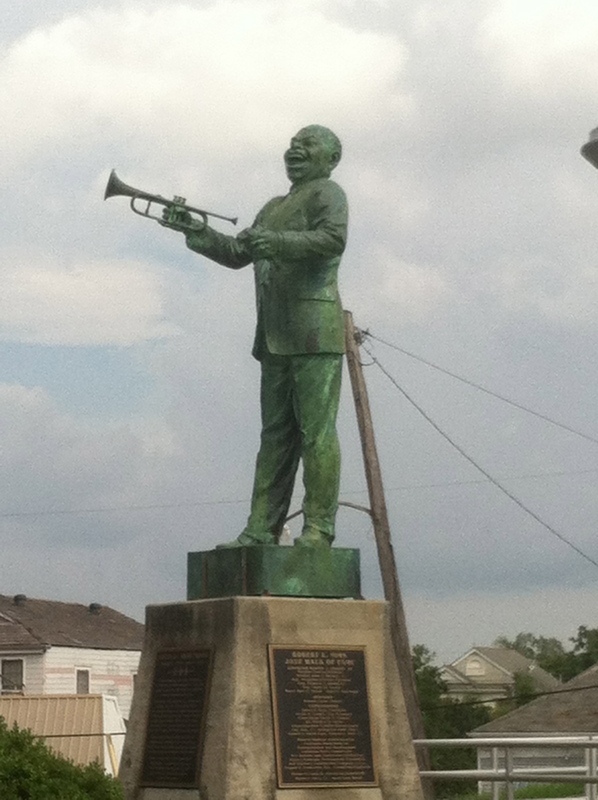 I have now been in New Orleans for over a month. Working at the Louisiana Coalition for Alternatives to the Death Penalty (LCADP) has certainly opened my eyes to things I could only imagine. My time here has been full of long hours, incredibly interesting material, good experiences, and inspiring coworkers and clients. My role has changed drastically since the beginning of the summer. This is partly due to the staff with whom I’ve been working, and how interested I am in the law. I am the only intern for LCAPD, and the only undergraduate intern in the office. The rest of the interns, who are all law students, work for a non-profit law office dealing with capital cases, called Capital Appeals Project (CAP). 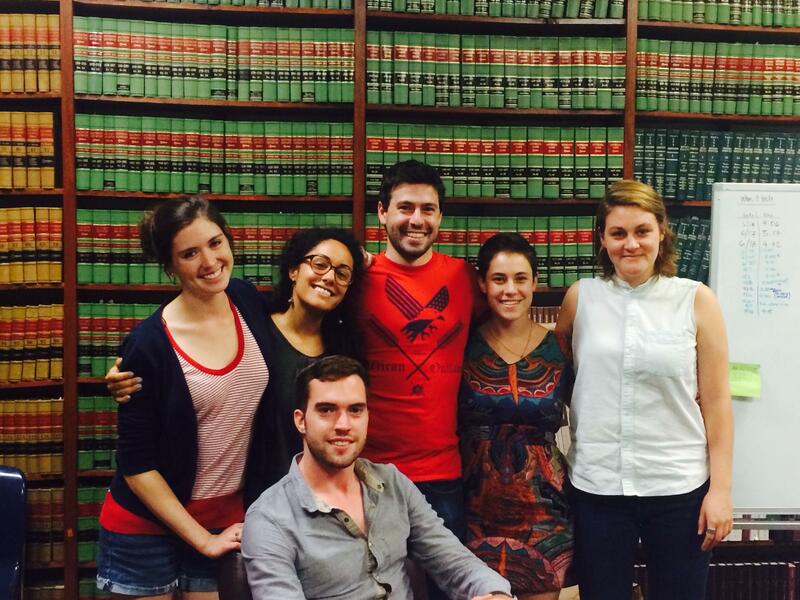 We all work together in the law library, and I’ve been able to learn a lot from them about the appeals project. I have enjoyed this tremendously, and am incredibly grateful that I’m getting even more out of this internship by working so closely with other offices. This has really fulfilled my personal learning goal. Each day I am learning something new just by talking with the other interns. Another goal I had this summer was to learn if community organizing is something I want to do in the future. So far, I’ve been able to get a glimpse at that life. Although it’s something that I respect greatly, and enjoy, I think I’ve found that it may not be for me. Lately, I have been reaching out to murder victims’ family’s rights organizations and grief councilors. Our organization’s hope is to form a relationship with these community members so we can better help grieving families. This was challenging because our stance on the death penalty initially sets us up to not seem sympathetic to victims and their families. However, after I was able to introduce myself, I explained that we are against the death penalty partially because of the extreme cost. If all the money used in the appeals process could be redistributed, then the families who need financial assistance could have some relief. This was very affective, and those we met with agreed with us, for the most part. I am thoroughly enjoying meeting with councilors and organizers. It’s a long road, however, because by meeting with them, I’m realizing that their issues with the system are just as grand and challenging. This makes it harder for me to stay focused, and makes me feel a little unsure of things because in order to work together we need to communicate openly and often. I feel like a lot of these relationships are shaky and difficult, because there seems to be only so much people are willing to do for others because they have so much work to do themselves. My academic goals are expanding and shifting to fit my internship. I have been working on an important project involving a calendar that was created last summer called the “Respect of Life Calendar.” It was marketed to Catholics who wanted to get more involved in Pro-Life issues. The goal is to expand the idea of “pro-life” to include environmental justice, criminal justice, and human dignity issues. My job is to take this framework and expand on it to make something practical that can be used regularly. I have been researching and writing content for a hand out and phone app for Catholic high schools in Louisiana, and bulletins and inserts for Catholic churches. The focus on Catholics in Louisiana is due to the fact that if the death penalty is voted down in this state it will be because of them. The Catholic Church is opposed to the death penalty, and there is a very large Catholic population in Louisiana. If we can help inspire the Catholic community to speak up, we might be able to make some lasting change. One thing that I’ll take away from this summer is how proud I feel. I am proud of the work we are doing. I am proud that we are dedicating our time to a job that most people don’t want to do. Working directly for people who have been described as the “worst of the worst” is something I’ll never regret, or ever think is not 100% worth my time. I’m not better than anyone I’m meeting. I am a person, and I’m excited to be doing what I’m doing. Because of the intensity of this work, I am learning how to conduct myself in a serious, respectful and supportive way. I am learning how to hold back at times when I shouldn’t reveal everything I know, and I am learning how to form bonds and connections with community members and inmates. I am also learning how to manage my time. In this field, there is always something next. There is always more to do, and it has been challenging for me to stop working at the end of the day, and not get overwhelmed. It is hard for me to compartmentalize and leave work at the office, so that is something I’ve been working toward. I’m not there yet, at all, but this internship has helped me to identify what I need to start focusing on in order to make sure I don’t burn out. Overall, I’ve learned a lot about how to present myself in certain situations, and how to find information through research and outreach. In addition, working with law students has really taught me how to fully commit to something. I have not worked as hard as they do (and as hard as I am this summer) in all my schooling. I am excited to see what I can learn when I apply myself as much as I am now. The Law Clerks and me in the library, aka: our office. 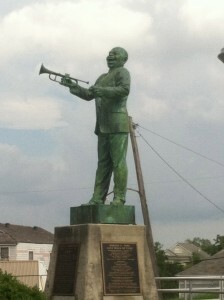 Louis Armstrong memorial at Algiers Point, New Orleans. This week, I started research in the Yale Pediatric Emergency Department. 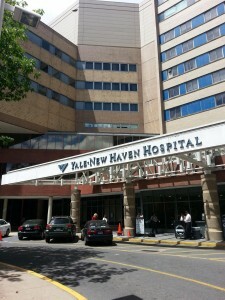 Yale-New Haven Hospital (YNHH), the only level 1 Trauma center in southern Connecticut. YNHH has more beds than any other hospital in New England. The Pediatric ED sees a large variety of cases, including patients sent from other hospitals. This summer, I am part of a new Undergraduate Research Associate Program (URAP). The program is being run by Dr. Marc Auerbach and Dr. Gunjan Tiyyagura, and includes 6 other students. My job includes front-line work for various studies that are happening within the Pediatric ED, and a few projects happening off the hospital campus as well. URAP received about thirty project applications for us to work on from faculty across the Department of Pediatrics. Our work includes subject enrollment, interviews, and observation. 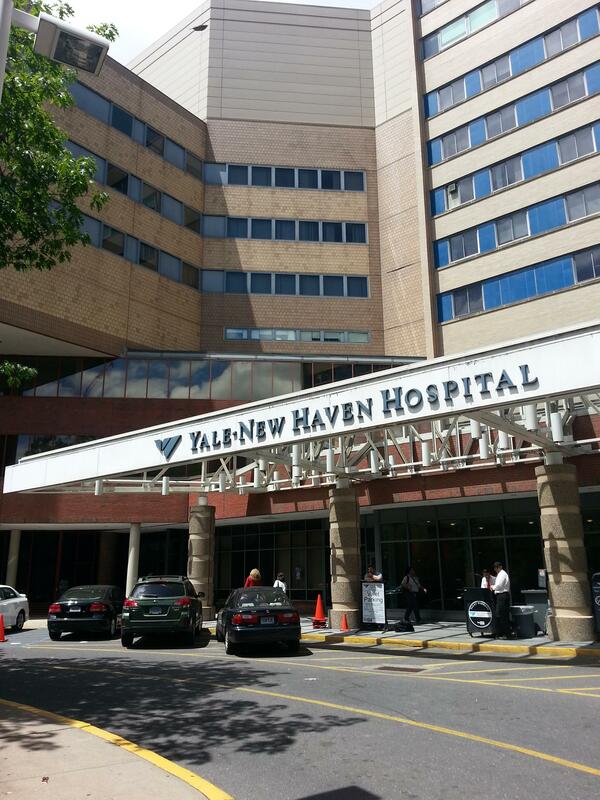 Being from New Haven, I have grown up with YNHH as a major part of my life. YNHH is one of the largest employers in New Haven. 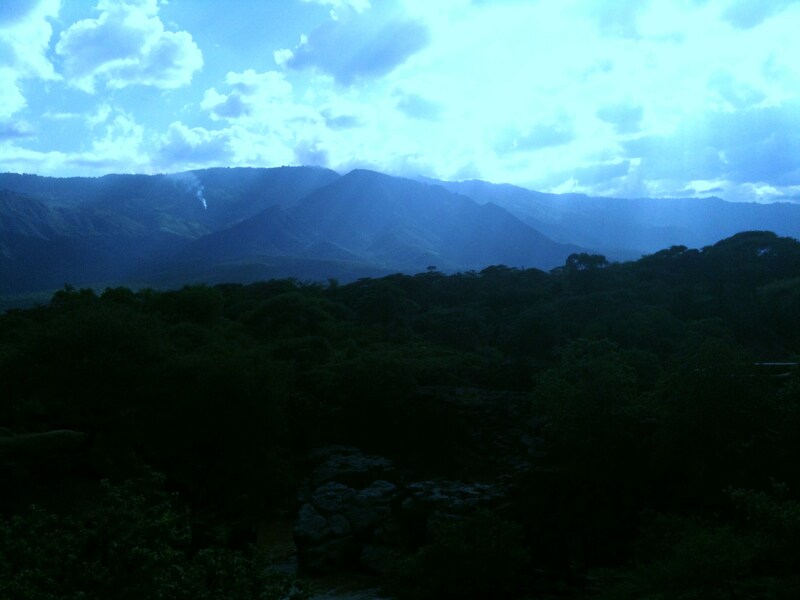 It is also where I was born. I learned about this internship from a family friend who is an attending at the Pediatric Primary Care Clinic. Through her connections in the pediatrics department, she heard about the new research program. Knowing my goal of becoming a doctor, she suggested I apply. I was very lucky that she informed me of this program, as my strong background as an EMT and Research Methods (PSYC 52) made me an ideal candidate for this program. My first full week in the ER has been a blast, and a huge learning experience. One of the benefits of the program is that I am allowed to observe doctors and nurses as they do their jobs. I have already seen a number of really interesting cases, including some traumas, a couple of seizures, and a handful of children who were ill. I have already learned a lot, and am looking forward to even more time in the ER. So far, I have only been oriented to a few studies. I spend quite a bit of time watching the patient tracking board, looking for subjects to enroll. As the summer starts to ramp up, I will be oriented to more studies, increasing the amount I am able to do. One study I started this week is an IV placement quality improvement audit. This study includes observing nurses placing IVs and recording a lot of variables including number of attempts and needle size. Among other things, the study is looking to find whether there is a difference between patients with and without sickle cell anemia. My experience in the YNHH Pediatric ER is just starting, and I am just starting to feel comfortable in the ER. As I become more used to work in the ER, I will also become more introduced to more research projects. I am very excited for what the summer has in store and to continue the work I started this week. Exciting news! The Athletes and Stress Study has officially received approval from the Brandeis institutional review board! Or course, we received this approval two days after my summer internship ended… but on the bright side I have been offered to continue working with this lab next summer so I will be able to be involved with the data collection and analysis of the project after all! I will be studying abroad in Paris throughout this coming academic year, but as this is a long-term study there will still be plenty to do next summer. It will be exciting to see the data collected and progress made by my return. Some timing did work out in my favor: on my last day in lab my supervisor approved the survey I developed for measuring critical body talk! This survey will be the backbone of my independent focus, and it will be administered as part of the larger study. I will begin analyzing its results next summer. Although I originally thought we would begin running the study this summer, it turned out to be fortunate to enter this lab in the formative stage of the project. I was able to incorporate my research interest into the larger work, and I had time to explore how self-criticism may be related to other important areas like body esteem, perceived stress, the physical stress response, competitiveness, activity level, and body objectification. Furthermore, if all goes well, I may be able to integrate my work this summer into a future senior thesis. That remains yet to be determined, but it would be a productive way to utilize any findings that the critical body talk survey yields. This summer gave me firsthand experience of what it could be like to be a psychological researcher. I learned that health psychology is an ever-growing field, and it seems to be on the cusp of exciting new research with important implications for mental and physical well being. The WOW program is an excellent way for students to gain insight into the future careers they may want to pursue. My WOW experience leaned in a slightly different direction: I got a glimpse of what it would be like to be in graduate school for psychology. Since this would be the next step in my progress to a career in this field, I’m so grateful to have experienced what this next step could be like! From what I observed working with a team of graduate students to set up this study, and talking with them about their past experiences and present research involvements, I think I would really enjoy psych grad school! Working in a lab like this is a great opportunity to balance collaborative work with a team and independent work on personal projects. In my experience this summer, I saw a group of passionate and interested researchers all doing important work on their own, and then coming together to combine their interests and expertise to create a larger, multifaceted, and cohesive project. I like the idea of working with such a team in my future research because by working together you can cover one research area from many different angles, and you can discover interactions you may have never thought of on your own. If another Brandeis undergrad was interested in doing work with this particular lab, I would say it is important to be able to work on your own, stay on top of things, and to not be shy to ask for help. I had to create my own work schedule between lab meetings. I knew the end goal of my work and sometimes I had to figure out how to fill in the middle. Through reaching out to the others on the team, I found guidance and support. It is important to join a lab that interests you. It is also helpful to come into the lab being informed and interested in the project, and having your own related but individual interests. When I spoke up about my interests and how I wanted to be involved, the team was happy to incorporate me, and they helped me narrow and define what I want to research. The critical reading, organization, and self-initiative skills I fostered this summer will serve me well in all my future academic work. Through working with this team, I made relationships with bright minds in the psychology field. These individuals are doing research on such interesting areas, and I look forward to seeing how their work continues in the future! I’m happy to have experienced being part of this community at Brandeis, and I feel inspired to continue my work in psychology research. 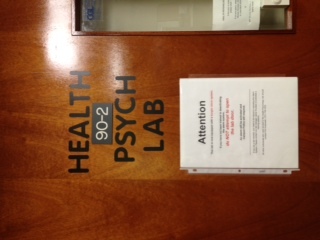 Brandeis Health Psych Lab! Where the magic happens. In the bottom floor of Brown. I’m a little more than halfway done with my summer of Health Psychology, and it is flying by! The Athletes and Stress study is coming along steadily. Currently we are mapping out the different portions of the study, deciding which survey or sample goes at what time, which samples we need to collect on the in-lab study day, and which can be reserved for the take-home portion. It is amazing to see the precision this process requires and the variety of factors that must be considered. For example, if we have participants take a survey about the social support they receive on a daily basis, and this survey makes them realize they are not receiving as much support as they would like, it can trigger feelings of loneliness. This negative affect can influence how participants respond on following surveys, or how they perceive their experience during the in-lab stress test. It is essential for us to eliminate this form of bias as much as possible. I am feeling more incorporated in the research team and confident in my involvement. I can tell that I am progressing in the lab as I realize I have a voice in the project and can have relevant input. I am also amassing quite a large file on my computer of literature on the subjects we are studying. Here is an example of the type of studies I am analyzing. Luckily, during an internship I held last year at the Brandies Women’s Research Center, I learned how to use EndNote citation software. This has been so helpful in keeping my research organized! The organizational skills I’m fostering this summer will be extremely helpful in my future coursework. Additionally, my critical reading skills are improving. Originally, I assumed that if the articles I read made it to publication (the psychology student’s dream) they must be relevant to my interests and study. However, I’m learning to be more careful with my scrutiny. Looking at researchers’ motivation and tone, how they collect their data and where the article is published reveals another level of information. Their findings may be true, but for what population or from what angle are they relevant? Perhaps there is a missing piece of information, or other psychological phenomena taking place that can explain the found association. Between these lines is where I need to look to find the really interesting information that can guide future research. This is how I am trying to approach the literature review for my independent focus. I’ve decided that I want to examine why and how people communicate about their bodies, how these social interactions translate into internalized body-related attitudes and behaviors, and the larger effects these attitudes and behaviors may have on mental and physical well-being. More specifically, I am looking at the role of “fat talk” communication (a term coined by Harvard Anthropologist, Mimi Nichter), what motivates this kind of discourse and what results it may have. What strikes me most about my research is the volume of work that has been done and is being done. It feels like searching through Mary Poppins’ carpet bag – it just never ends and the findings are stunning! There are always more papers to read, or new angles to examine, or new measures to critique. It is incredible to realize the volume of knowledge that is being generated by researchers around the world, but it is important not to get bogged down or overwhelmed by all the information. I’m most proud of my personal initiative and organization. I have a lot of freedom with the work that I do – which is both a luxury and a difficulty. I have a much easier time when someone tells me what to research, or when, where, and how to do things. I’ve also found satisfaction doing the more concrete tasks, like working on the online diary, learning to use equipment and organizing the study. During a meeting with my advisor in the lab I was talking to her about all the possible directions my project on “fat talk” could go, and she stumped me with the simplest question. “Why do you want to research this? What interests YOU?” My answer was stuck somewhere between “everything” and “I don’t know.” This is the problem I face when the options are so broad! I’m trying to let these simple questions guide my research and keep bringing me back to the purpose of research – finding interesting questions and important answers. As a WOW fellow I am so happy to be joining a group of engaged, motivated and adventurous students. While this year’s WOW fellows span the globe from India to LA, South Africa to Vietnam, I have begun my summer work in more familiar ground: Waltham, Massachusetts. 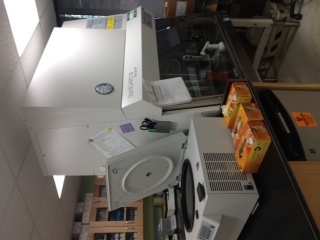 I am working in the Laboratory for Biological Health Psychology right here at Brandeis University. Though my surroundings are familiar, my experience thus far feels new and exciting. 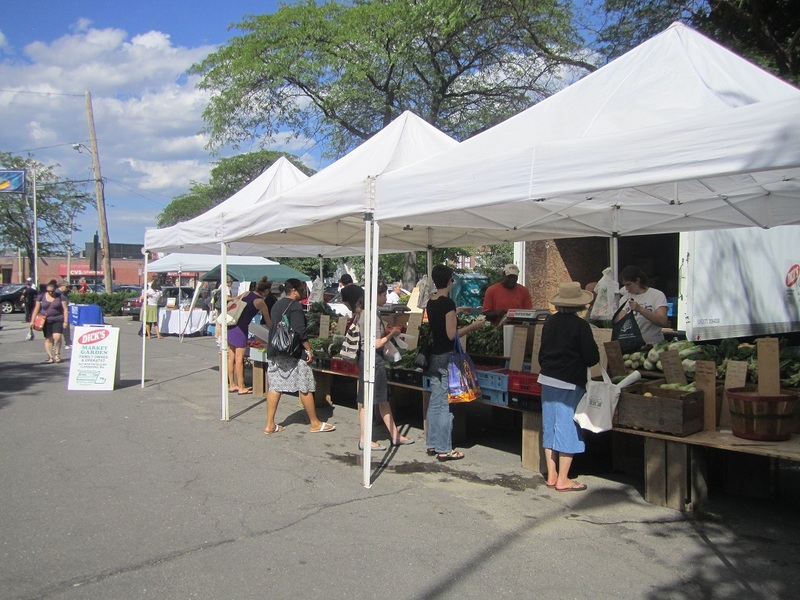 Waltham as a city has much more to offer than I realized: local cuisine (Lizzy’s Ice Cream? In a Pickle?! ), a farmers market en plein air, a beautiful bike path, an outstanding thrift shop, and there’s still more to find! I am living independently and looking forward to this opportunity to expand my self-reliance and personal initiative. Health psychology is a fascinating new field, and I am particularly interested in it as I intend to pursue a career that promotes both psychological and physiological wellness. The Laboratory for Biological Health Psychology investigates how psychosocial states – such as anxiety, depression, acute stress and chronic stress – can affect our health, and the intracellular pathways that link these mental states to physical outcomes. I became interested in this lab while taking Health Psychology at Brandeis. I expressed my interest to my TA, and she put me in contact with the professor in charge. 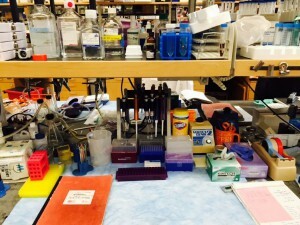 I began attending lab meetings, and was offered a position as a summer research assistant. As a research assistant in this lab I am primarily working on a new, upcoming study known as Athletes and Stress. The lab team consists of one head professor, several Ph.D. and masters students, myself, and one other undergraduate research assistant. This team is inspiring, diverse, friendly, helpful and funny, and it is an enjoyable environment to work in. Athletes and Stress is a large and long-term project looking at differences in the emotional and biological stress response in student athletes, active non-athletes, and minimally active. The purpose of this study is to examine the extent to which these three groups differ in their stress responses, and determine the potential contributing factors for these group differences. My lab responsibilities are varied and will change over the course of the summer. While we await final project approval from the Institutional Review Board, I am being trained in the lab protocol and procedure, learning about equipment use, helping to set up and format the two-week take-home diary portion of the study, and doing literature search and review. Next week I will also be joining a subgroup within Athletes and Stress. This group of graduate students is working on writing papers from different angles relevant to the study. I will be helping find sources for their papers, peer-edit their work, and engage in frequent group discussions. I will be concentrating on the diary portion of Athletes and Stress as I am being allowed to do an independent focus on data collected in the diary. For this independent portion I am doing lots of literature review. If you’re interested in learning a bit more about how stress affects our health and the types of research being done in this area, check out this fantastic documentary on the work of Robert Sapolsky. Sapolsky is a neuroendocrinologist and professor at Stanford University, and a leading researcher in this field. This summer I am looking forward to learning the many steps that go into conceptualizing, creating, and conducting a psychological study. Since I am joining in its preliminary stages, I have the chance to see how a research question is developed into a full-fledged study. I hope to learn what sort of complications psychological researchers face and how we can overcome these obstacles. I also hope to learn what aspects of research ignite my interest and my personal challenges and strengths. I think this will be a summer of learning and growth, and I am excited to have begun! At the beginning of the summer I began work on an exciting project in the Katz lab at BrandeisUniversityon a specific aspect of taste memory. For the sake of brevity it’ll suffice to say that the project is looking at a well-founded behavior in rodents in which the animals learn that a taste is “safe” over the course of a few days (interested in knowing more? Click here!). Recently it has been suggested by data in the lab that this behavior can show itself in a faster time course if the behavior is measured using different techniques. At the beginning of summer I began collecting data to verify the claims of the past study, and had figured that this would be a quick task and that by this time I would have started on the next leg of the project. Like many things in life, however, science does not work on the timescale that you expect. We are now halfway through my internship and we are very close, just now, to being confident in the presence of this behavior. But don’t take that as a complaint; even though the timing has showed itself to be longer than expected, I am very proud to know that with the data I gathered and the additional analysis we are on the precipice of finishing and submitting my first data paper. Also, life in the lab has been incredibly enjoyable and very, very rewarding. Whenever I’m not working with data at my desk, I am getting hands-on experience by shadowing my co-workers to learn and perfect certain techniques that will greatly assist me when it comes time to manage my own project. These techniques, it should be noted, are incredibly important to my future career plans as the skills I am currently learning are easily transferable to post-college studies and work. Additionally with certain techniques it is difficult to tell if I have actually improved, but I have noticed that I am asking for less confirmation and help as my hands and mind become steadier. It’s impossible to explain the immense amount of gratitude I feel to my labmates as they have walked me through virtually every step with a smile. Because of the experience I’ve had so far, I feel very confident and excited to proceed to the next step of my project. 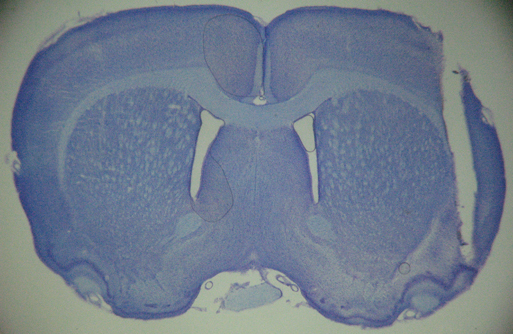 Here’s an example slice of a brain – the large gash on the right side is the tract made by the stainless steel cannula used to directly infuse pharmaceuticals into the brain. It goes without saying that the atmosphere in the lab is incredibly conducive to learning; each person is willing to help one another in times of need. Recently, a post-doctoral fellow needed help finishing up the final parts of her project before she left the country. Virtually everyone in lab spent their free time helping to make sure that things were completed. As the thought of graduate school and additional research work weigh on my mind, it is a relief to know that a lab can not only exist but thrive with this sort of group mentality. Hello from Iten, Kenya. I have finally gotten settled and found a way to get internet access here in Kenya. The Kenya Scholar-Athlete Project works to send gifted Kenyan students to elite universities in the United States. The program selects a small group of particularly deserving students to guide through the complicated process of standardized testing and college applications. Since being founded in 2004, KenSAP has placed 89 students among the best colleges and universities in the United States including two at Brandeis. 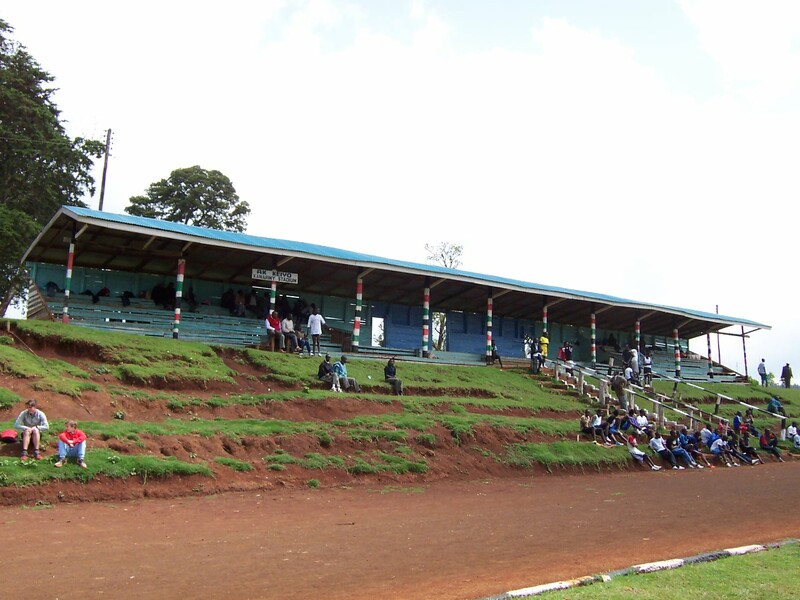 Located in Iten, Kenya the area is world renowned by track and field enthusiasts for the distance running it consistently produces. For village of only 4,000 people the area can account for an inordinate percentage of world-class distance runners. As an avid distance runner and member of the Brandeis Track and Field team this area is particularly interesting to me. My internship with KenSAP has several major responsibilities. Along with two other interns I will be an instructor for classes on standardized tests and writing. The students will take the TOEFL exam in August and the SAT in October. While these are extremely gifted students, English is typically their third language which makes the critical reading section of the SAT a difficult task. The students have studied English in school and speak well, but the intricacies of the SAT are much easier for a native speaker to understand. Luckily, this is the section that I performed best on so it will be easier to help. Interacting with the students on a consistent basis helps them to improve their understanding of English and American culture which is essential to their success in applying to college and adjusting to a new lifestyle. After a difficult 48 hours of travel I finally arrived in Iten excited to start despite the jet lag and seven hour time difference. The first week was particularly exciting because I was a major participant in the selection of this year’s students. This year, 77 students applied for the program, all of whom received an A on the national high school exam. I had been reviewing applications for about a month before departing for Kenya which prepared me for a busy week. After discussing each applicant with the small group of selectors, we interviewed each candidate. This is obviously a nerve-wracking process for the potential students who are hoping to be given the opportunity of a lifetime. As a soon to be job applicant, it gave me some perspective of what goes on from the other side of the interview. After several days of interviews and deliberations the group was narrowed down to 14 students who will be this year’s KenSAP class. I will begin teaching courses to help the students prepare for the SAT soon. A lot has happened during these past weeks. 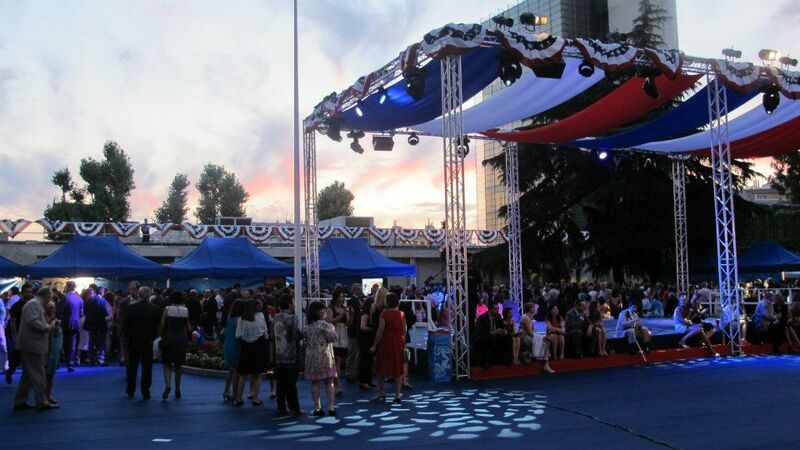 In the Economic Section, I finally finished working on a fundraising project I was helping manage for the Embassy’s annual 4th of July party. The project was a huge success. We raised more that what we needed to cover the party’s expenses. The remaining funds will be used for the Embassy’s Election Night celebration in November. The party was also a huge success. Over 3,500 people attended, and there was live music, performances, and a lot of good food and drinks! 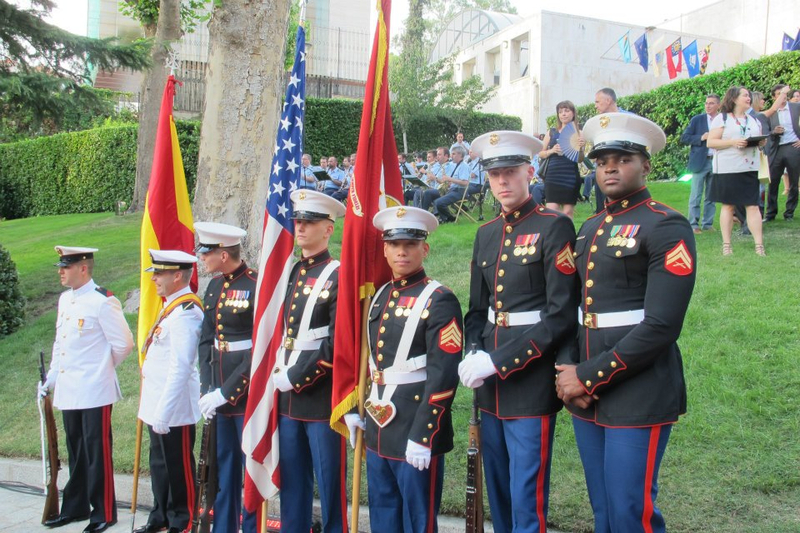 The nicest moment of the party was when a combined group of U.S. and Spanish Marines presented both countries’ flags to the Ambassador and his wife. Now that the project is finished, I have been assigned new and exciting tasks like writing meeting briefs for the Ambassador and writing reports about economic laws. Meeting briefs are used to orient the Ambassador and give him relevant background and context before an official meeting, informing him about the person and organization. To compose the briefs, I go through press articles, official websites, and use other information resources to research the individual. I have also been working on copyright and intellectual property legislation issues, researching and writing reports for the Embassy’s deputy economic counselor about American and Spanish laws, and cooperation in the field between the countries. Last week, I transitioned from the Visa unit to the American Citizen Services (ACS) unit in the Consulate. A lot of the work in ACS is related to law. I am in charge of the emergency telephone line, which is the line that Americans can call if they find themselves in distress. The purpose of the calls are very varied and interesting, and require me to respond in a quick and effective manner, and know a lot about Embassy resources and Spanish law. It has been my responsibility to follow up with a variety of agencies, such as the police or international law organizations, all the while keeping clients up-dated about their inquiries. Time is going by so fast – I can’t believe I only have one month left! Feel free to ask any questions about my work, the Embassy in general, Spain, or anything else! These past four weeks have really flown by! My responsibilities at the States Attorney’s Office have grown and I feel much more comfortable in the office. When I walk into the office every morning, I now feel prepared to handle any task that comes my way. Before I began my internship, one of my main goals was to learn more about the judicial system. That included better understanding the court processes, the inner workings of the states attorney’s office, and the specific role of the victims advocate. I feel that I have already learned so much about each of those things and I hope to learn even more. While monitoring court proceedings I feel that I understand more and more of what goes on. I now understand the difference between a status conference and a jury draw status conference. I have discovered which court proceedings interest me to watch and which are monotonous. Even though I prefer certain court proceedings to others, one of my responsibilities is to watch whichever one my supervisor needs me to and then I report back to him on the outcome. This has taught me to pay attention and understand the process and outcome. I have also learned a lot from the attorneys who have encouraged questions and taught me a lot about the work they do. I was even able to sit with one of the attorneys during one court proceeding. I also better understand the role of the victim’s advocates because that is the department I specifically work with. One of my main responsibilities is to assist with restitution paperwork, which I now feel very comfortable doing. 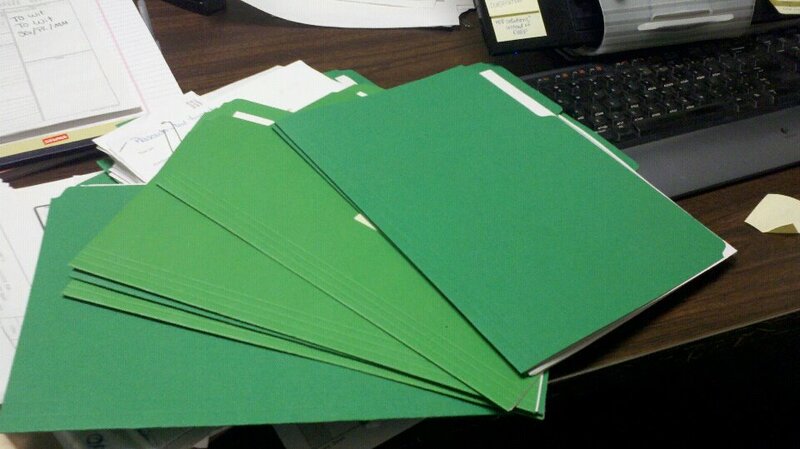 My supervisor will hand me an assorted pile of papers knowing that I understand what to do with them. 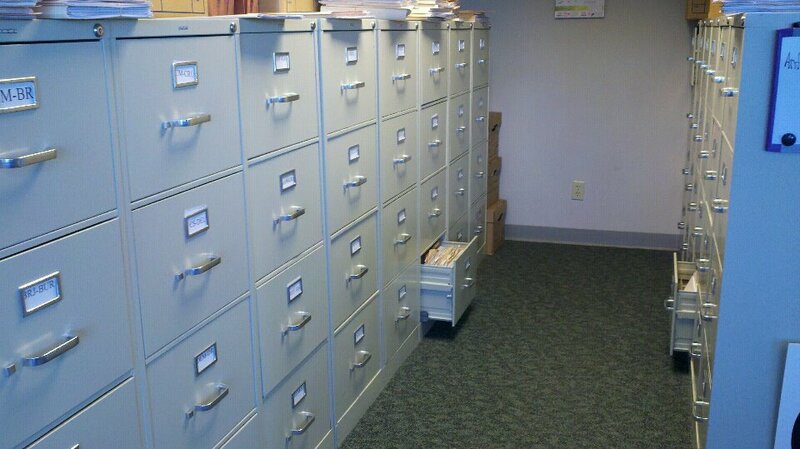 I now have enough experience to use the database in a way to find the appropriate paperwork, print it, and then file it. My supervisor actually calls me his “chief-of-staff”! Every time he says that, I feel proud of my work and that I am really helping him. I enjoy being able to walk into his office, with him knowing that I am capable of doing anything that he hands me. His confidence in me has shown that I have learned a lot. I feel more confident in my work for him and my overall ability to work in the office. Confidence is just one skill that has grown since my internship began. I also feel more competent with computer databases and promptly being able to figure out how it works. After using a few different types of databases at this internship I feel confident in my ability to quickly learn and adapt to new programs. I know that is a skill that I can take with me to future jobs and will help me feel comfortable with using any program thrown my way. My knowledge of the judicial system has also certainly grown, which is something that will benefit me in both academics and with my future career. I feel as though I understand the difference between civil court and criminal court, which is something I never fully understood before . I am currently working more with the criminal court, but was able to observe some family court proceedings. Through this internship and the opportunities given to me, I have learned that I enjoy family court and civil court much more than criminal court. I have greater interests in the cases that appear in civil court and the attorney-client relationships that ensue. This current internship has shed light onto the different courts and truly helped me better understand what I am interested in for the future. Namaskar! After 51 hours of traveling due to a series of delayed flights, I was so happy to finally arrive at my internship site for the summer, Kalinga Eye Hospital and Research Centre (KEHRC) in Orissa, India. I obtained this internship by becoming a Global Impact Fellow of a non-profit organization called Unite For Sight. 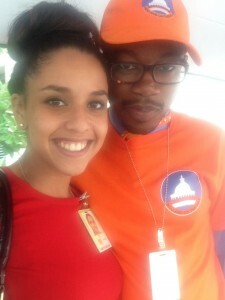 One of my main reasons for applying was that a former Social Justice WOW recipient and Unite For Sight Global Impact Fellow, Samuel Icaza, told me about it. He informed me about Unite For Sight programs and how the effort you put in to provide accessible medical services to people in need has a long-lasting impact on the community. At that time, I was going to Costa Rica and Nicaragua on a medical volunteer trip for 10 days that sought to provide basic physician services through free clinics and our donated supply of over-the-counter drugs while traveling to different villages. While the experience taught me invaluable lessons and gave me unforgettable memories, I realized that my efforts were not spent on working with the local infrastructure of the health care system to make sustainable changes in its access to health. After being inspired by what I observed, I applied to Unite For Sight because instead of short-term relief mission trips, the organization collaborates with local eye clinics to provide outreach camps to villages without eye care facility, screen patients and provide corrective refractive glasses, and bring patients back to the hospital for cataract and other eye surgeries, free-of-charge. 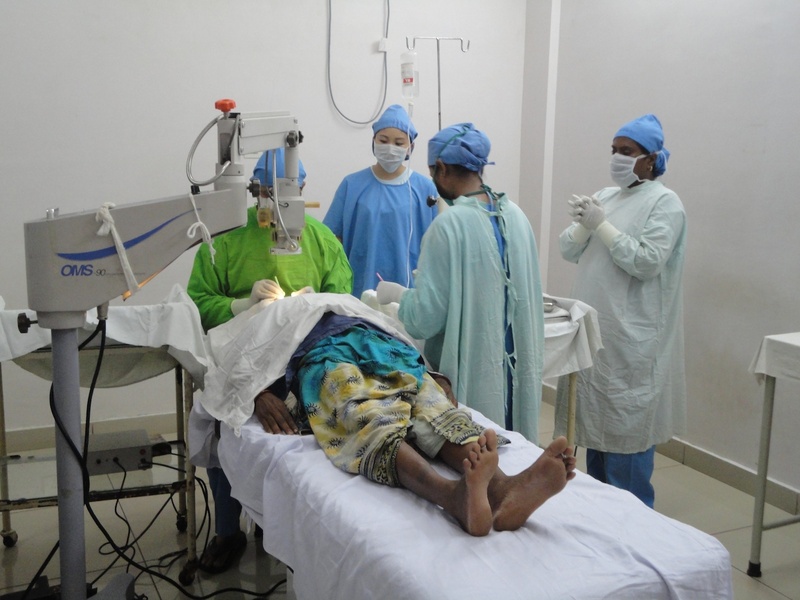 These surgeries are sponsored and paid for by Unite For Sight. I helped contribute by fund-raising $1,800 prior to my internship so that 100% of the donations can be made to restore people’s eye sight without the barrier of high operation cost. Lastly, the average cost of cataract surgery through Unite For Sight is $50, which is incredible in that the price we pay for a pair of jeans in the US can help someone to regain eye sight and be able to connect with their family, friends, and the world. 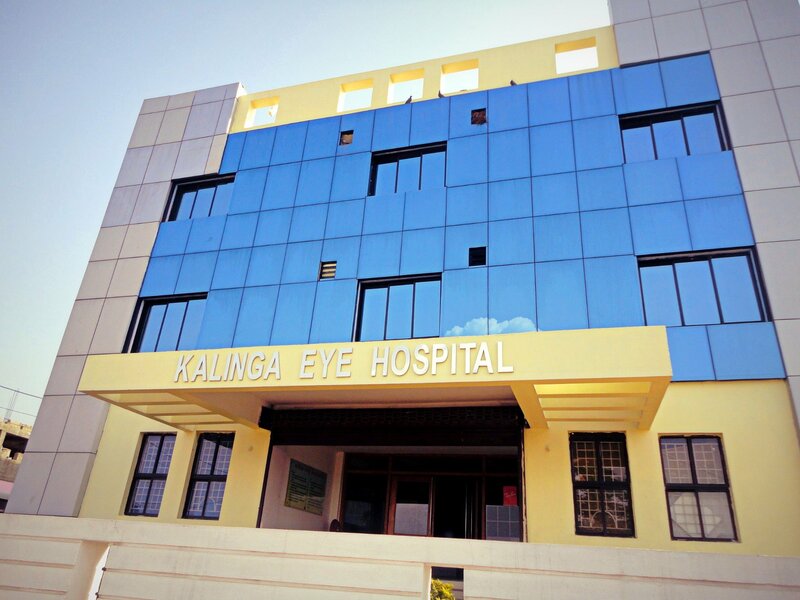 I specifically chose Kalinga Eye Hospital and Research Centre among different Unite For Sight sites because this facility offers pediatric care and even has initiated a training for pediatric eye surgeons. At this hospital, as a volunteer and intern, I shadow ophthalmologists in the morning for about 4-5 hours, shadow and learn about basic visual acuity tests by engaging with optometrists, and work on hospital marketing and management projects of my choice. During outreach camps, I travel by bus for 4 hours to arrive at a remote village where I help contribute in the screening process (such as distributing eye glasses), help bring patients back to the hospital, and observe all cataract surgeries for non-paying patients (most from outreach camps). This is a protocol specified by Unite For Sight, as the organization needs to logistically track all the sponsored eye surgeries. Currently, the hospital founder and president is abroad for conferences, but will soon return to Kalinga Eye Hospital. Based on my observations and ideas, I am currently working on a presentation to recommend some changes made to hospital marketing strategies and pediatric services here, as well as conducting a patient satisfaction survey for both non-paying and paying patients. I will also soon be writing letters to insurance companies to ask them to collaborate with the hospital, as KEHRC has not yet implemented a system where it accepts insurance plans (to facilitate patients’ hospital experience and also promote higher quality medical services). Lastly, I will be finding a local baby to become a model for the hospital and design posters to improve the hospital’s image. Having run for the Student Union for 2 years, I have learned to enjoy the poster designing process and creating memorable slogans. Finally, I will be recording a video about the patient’s perspective of Kalinga Eye Hospital, so that upon completing my hospital experience, I can edit the raw footage to best capture the essence of what KEHRC does and how Unite For Sight is involved. I have learned so much already by talking to ophthalmologists. Today I learned how to use the bio-microscopy machine (the eye machine in ophthalmologist’s office) and saw multiple layers of the eye through the instrument! Another interesting fact here is that many patients refuse to accept the concept of ‘no cure’ because the body will naturally heal itself, such as in cases of trauma. So often , doctors provide eye drops that do not directly ‘heal’ the symptoms but that serve as a psychological aid to patients’ worried minds (as they believe they will not heal without a medical ‘aid’). 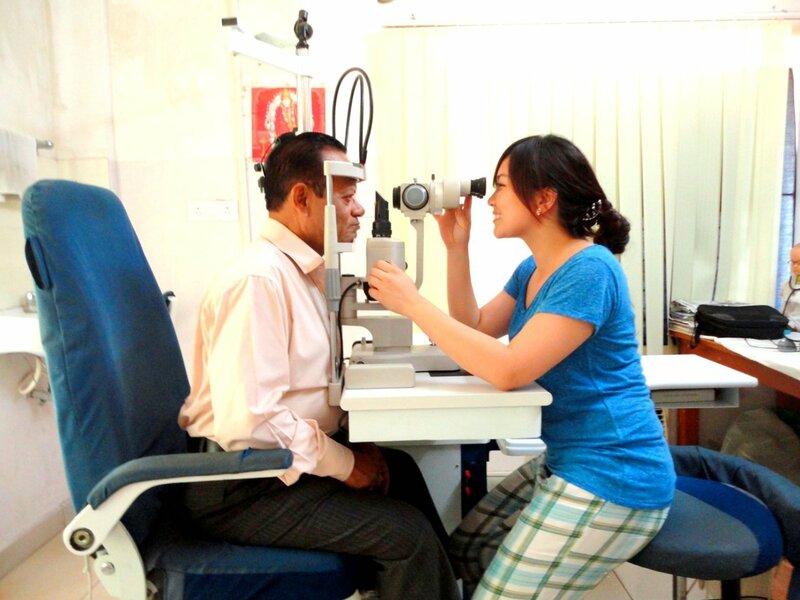 If anyone is interested in knowing more about the Kalinga Eye Hospital, please visit the hospital website. Also, if anyone wants to learn more about Unite For Sight, please visit the organization’s website. That is it for now, I am excited to update you more about my internship! Please leave any comment or questions if you’d like. Thanks for reading!